After warm and sunny weather in Denmark, Norway and Sweden, day one in Helsinki was rather cold and grey, although at least not wet and stormy as it seemed earlier in the morning on the ferry… Plus we had missed the stretch of a trip that was supposed to be done by car because of the miscommunication in Stockholm… And about 30 pictures from this day (including those from the cemetery) miraculously disappeared from my memory card…. 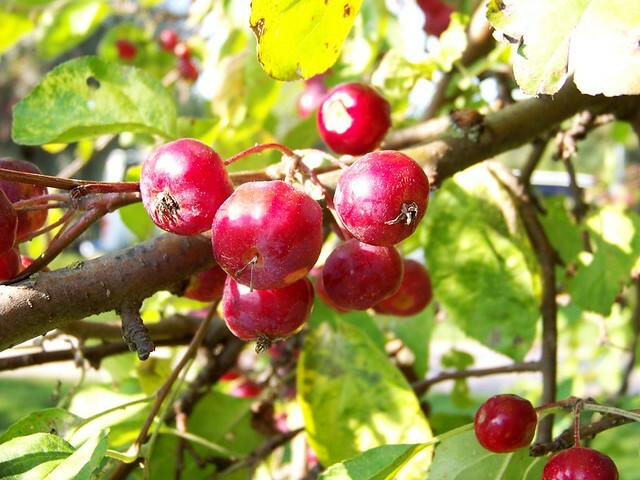 In other words – the beginning of that day was promising :). (Details and stories from the whole trip can be found here). 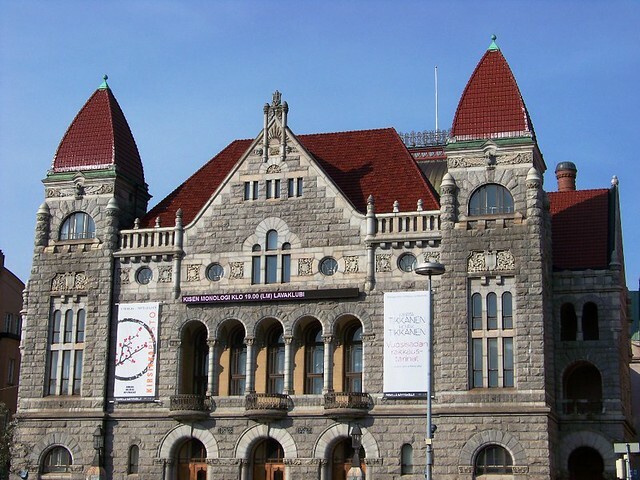 The National Museum of Finland (Finnish: Suomen kansallismuseo, Swedish: Finlands nationalmuseum) presents Finnish history from the Stone Age to the present day, through objects and cultural history. 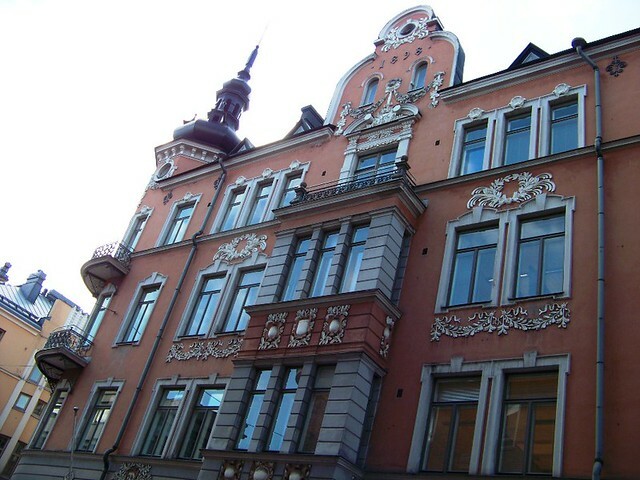 The Finnish National Romantic style building is located in central Helsinki. 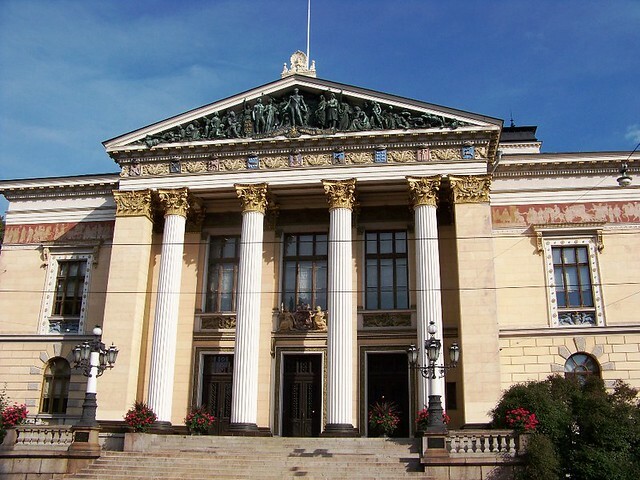 The building of the National Museum was designed by architects Herman Gesellius, Armas Lindgren, and Eliel Saarinen. 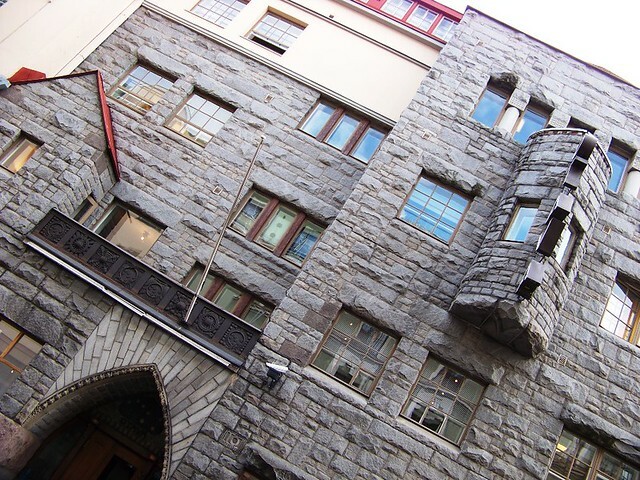 The appearance of the building reflects Finland’s medieval churches and castles. 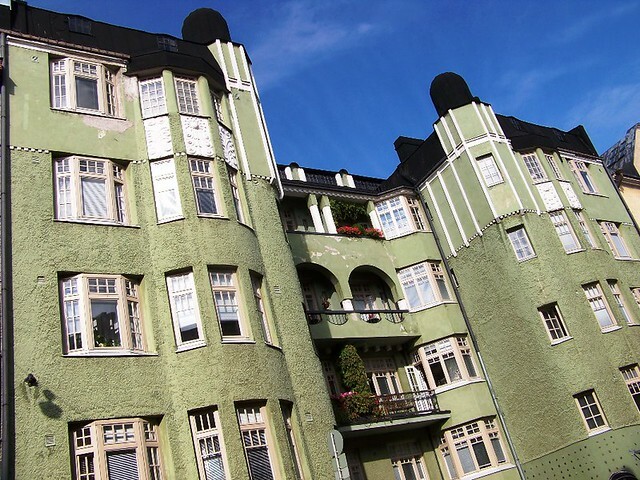 The architecture belongs to national romanticism and the interior mainly to art nouveau. 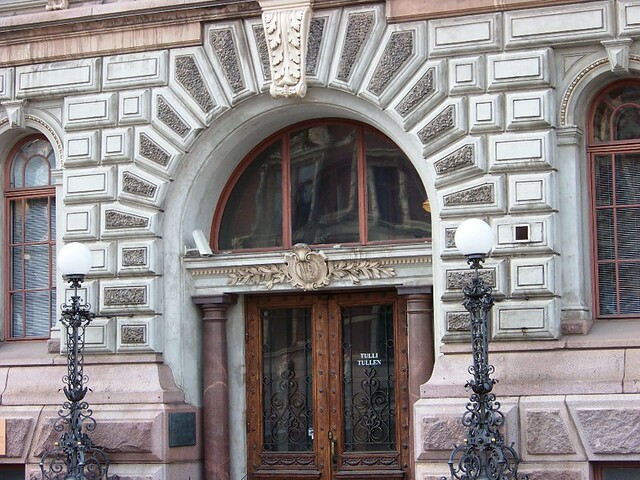 The museum was built from 1905 to 1910 and opened to the public in 1916. 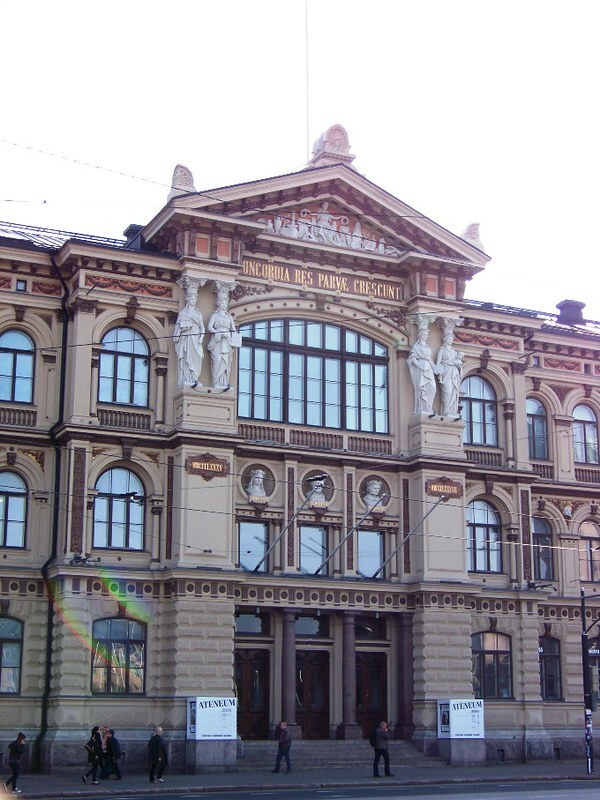 The museum was named the Finnish National Museum after Finland’s independence in 1917. 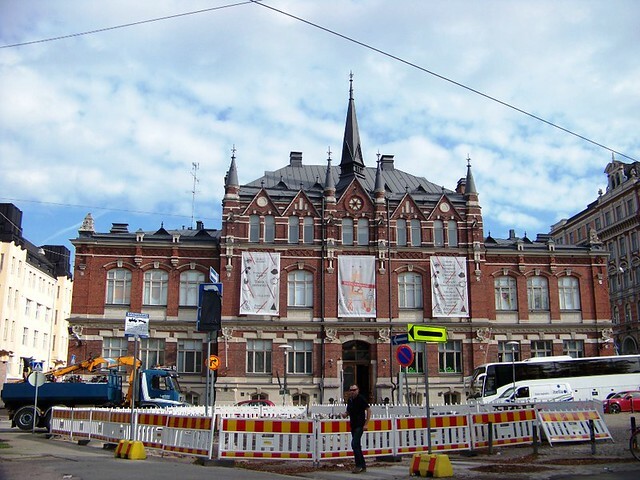 On Monday 23 January 2006 there was an explosion accident at the National Museum in the Silver Room, which was likely caused by methane leaking into a broom cupboard and lit by a spark from the electrical mains in the closet. Most display cases and some silver objects in the museum’s Silver Room were damaged in the explosion, although most of them only mildly. 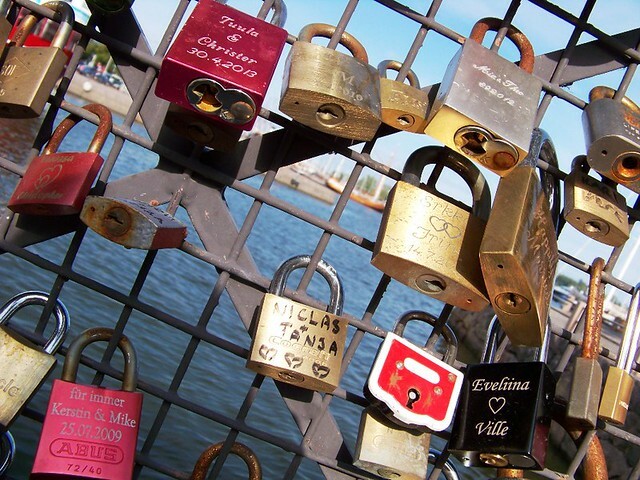 All objects have been repaired during 2006. The Silver Room was re-opened to the public in early 2007. 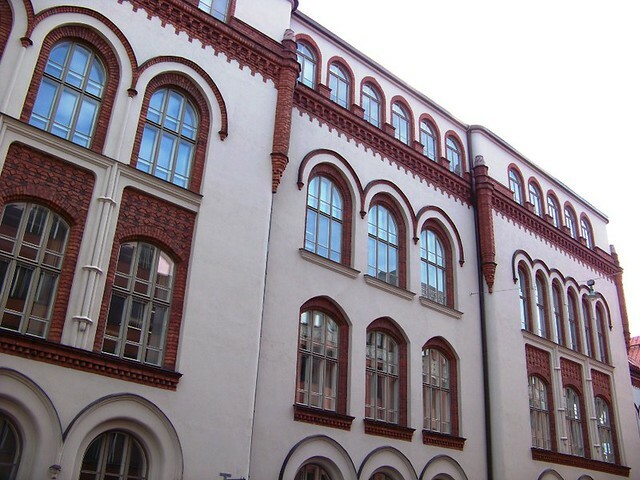 Matthias Alexander Castrén, born 2 December 1813 in Tervola, Finland, died 7 May 1852 in Helsinki, was a significant Finnish linguist and traveler. 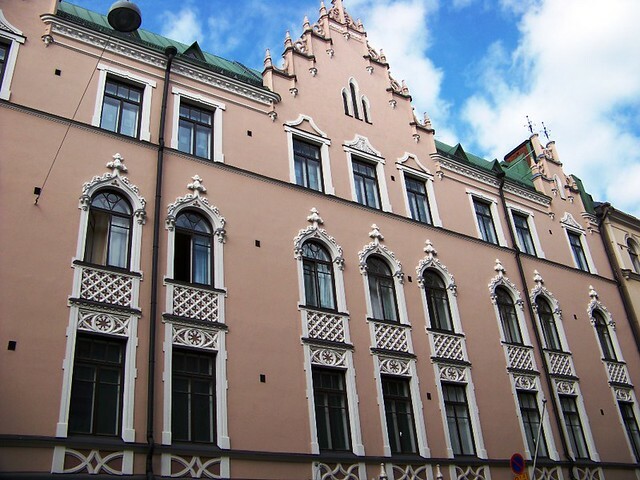 He traveled extensively through many parts of Russia, including Siberia, and other regions, collecting knowledge on little-known or fully unknown languages related to Finnish. 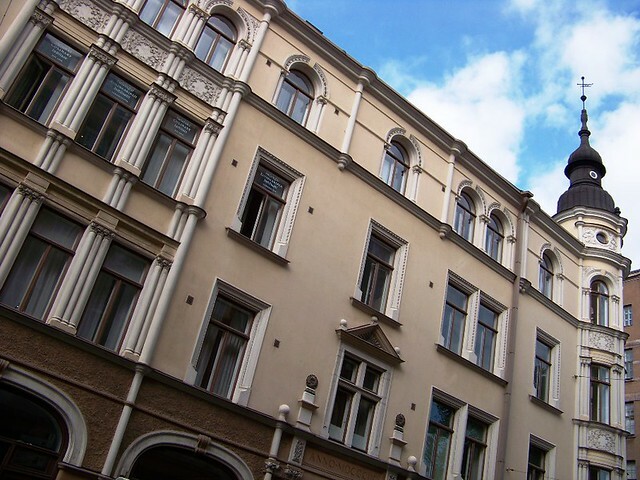 In 1841 he published the first Swedish translation of the Finnish national epic Kalevala. 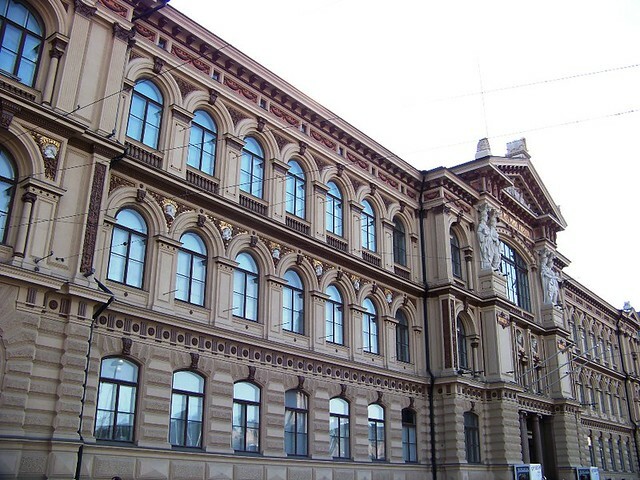 He was the University of Helsinki’s first appointed professor in the subject of Finnish in 1851, but died of tuberculosis the following year. 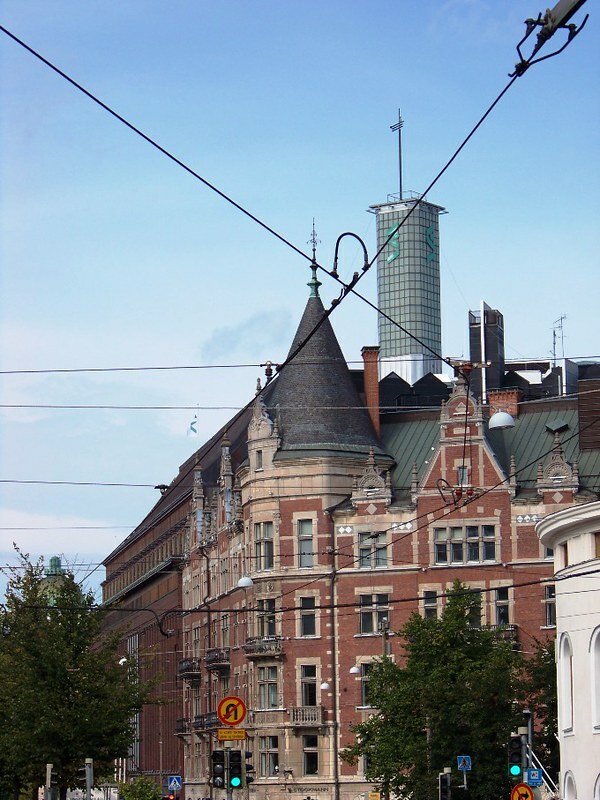 1) Finland is the most sparsely populated country in the European Union, with only 16 inhabitants per km². 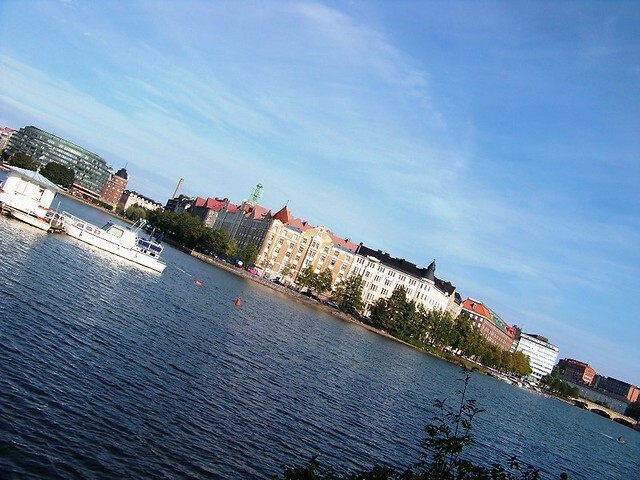 2) There are exactly 187,888 lakes (larger than 500 m²) and 179,584 islands within the territory of Finland. Both are world records. 3) The 120 km Päijänne Water Tunnel is Europe’s longest and the world’s second longest. Behold! You are looking at a church! 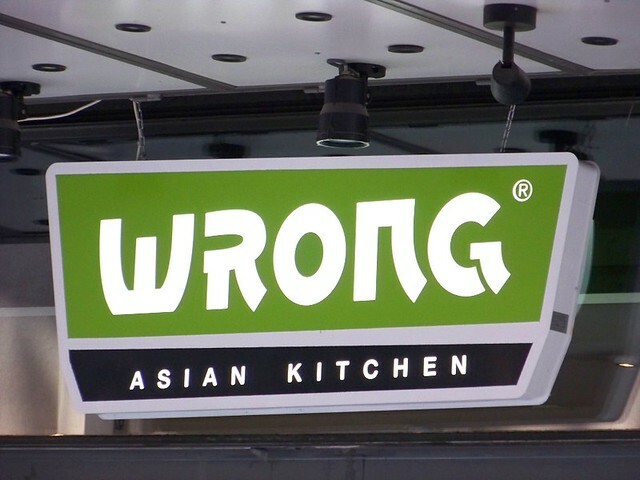 See – I told you it’s a church. And it functions! Temppeliaukio Church (Finnish: Temppeliaukion kirkko, Swedish: Tempelplatsens kyrka) is a Lutheran church in the Töölö neighborhood, designed by architects and brothers Timo and Tuomo Suomalainen. 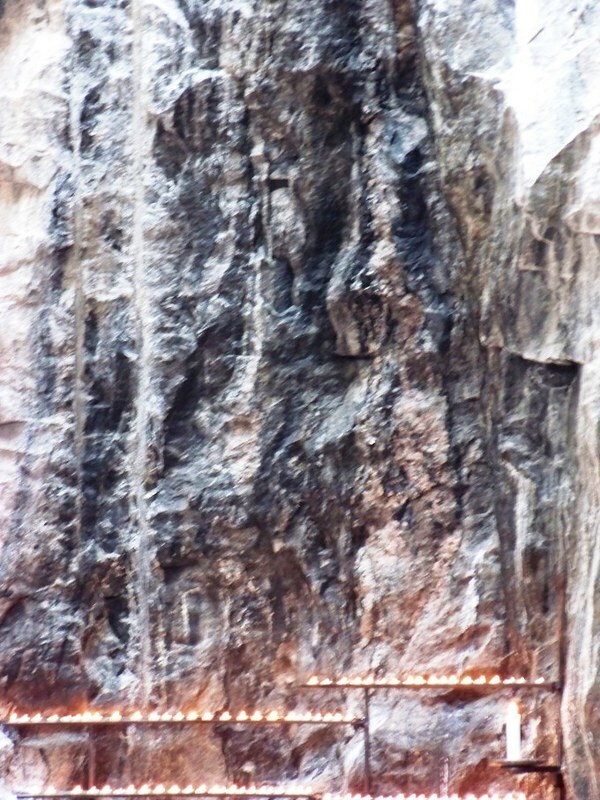 It is also known as the Church of the Rock. 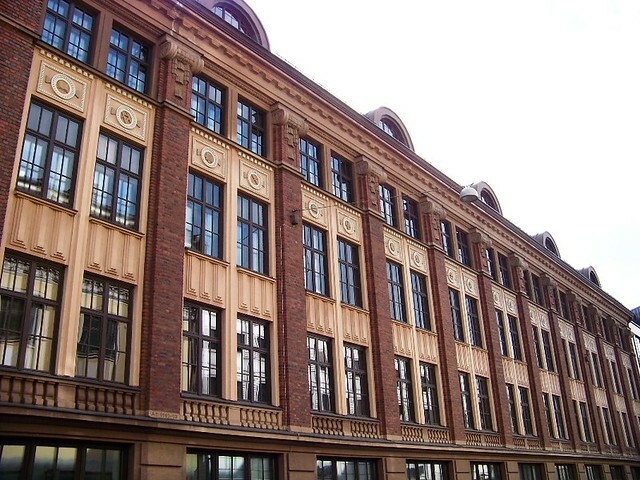 Plans for it were started as early as the 1930s when a plot of land was selected for the building and a competition for the design was started. The plan by J. S. Siren, the winner of the second competition to design the architecture of the church, was interrupted in its early stages when World War II began in 1939. 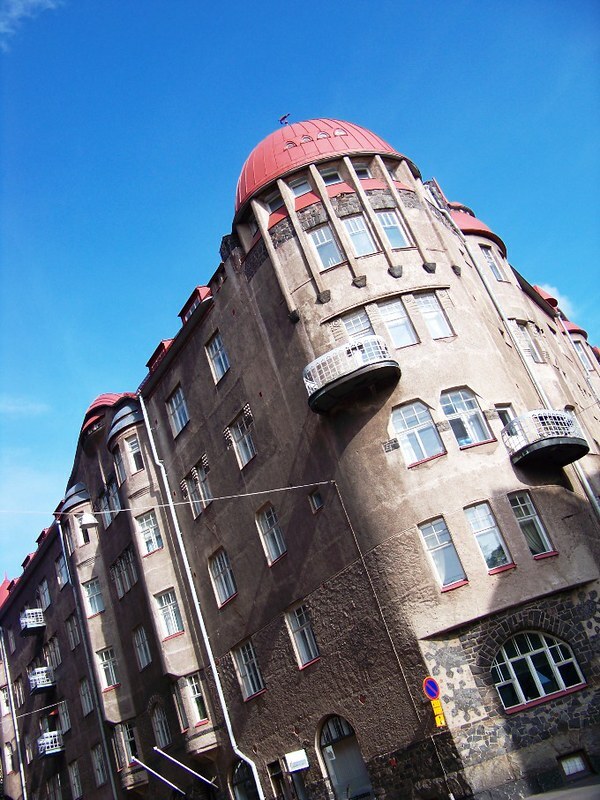 After the war, there was another architectural competition, won by the brothers in 1961. For economic reasons, the suggested plan was scaled back and the interior space of the church was reduced to about one-quarter of the original plan. 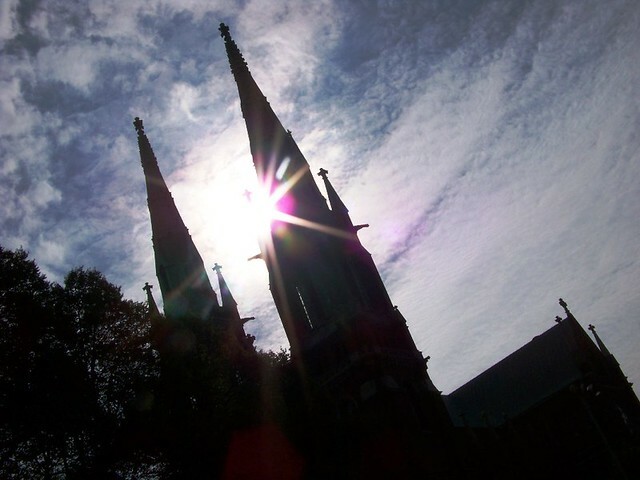 Construction finally began in February 1968, and the rock-temple was completed for consecration in September 1969. The interior was excavated and built directly out of solid rock and is bathed in natural light which enters through the glazed dome. 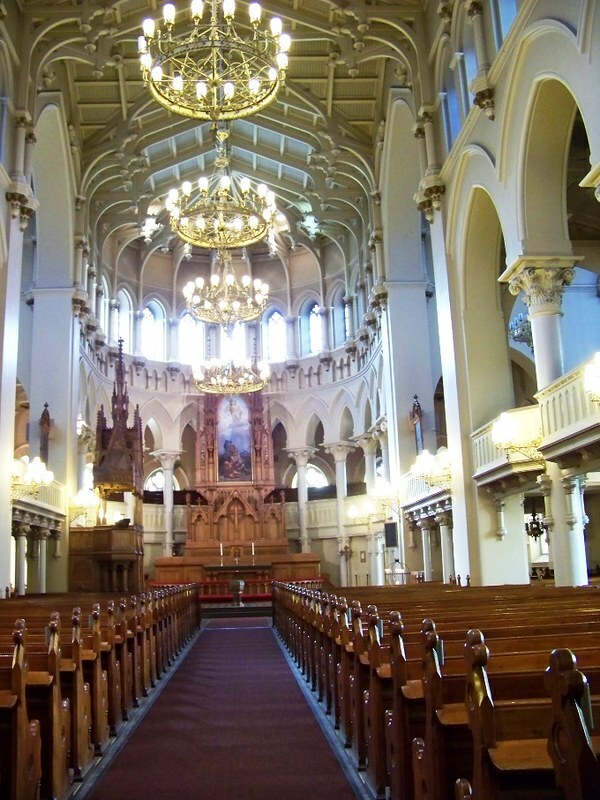 The church is used frequently as a concert venue due to its excellent acoustics. 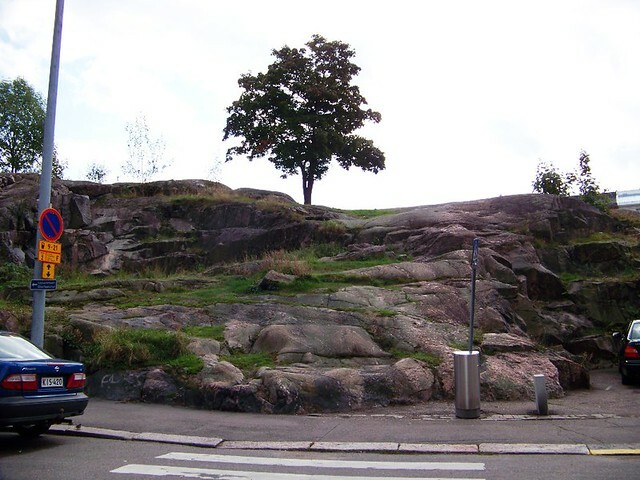 The acoustic quality is created by the rough, virtually unworked rock surfaces. 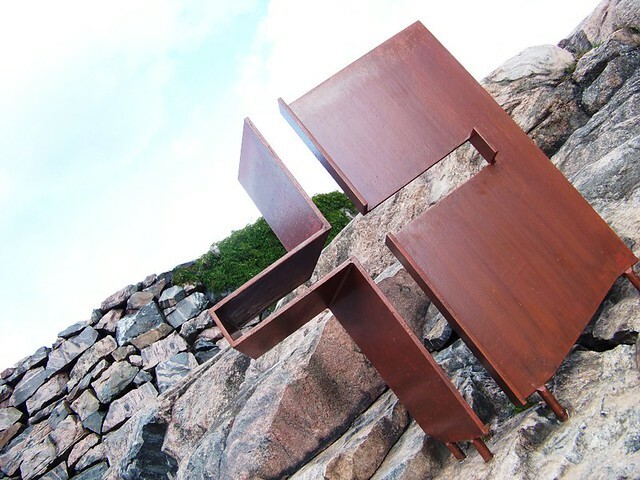 The iconic rock walls were not included in the original competition entry, even though the Suomalainen brothers had considered the idea, because they believed that it was too radical for the competition jury. 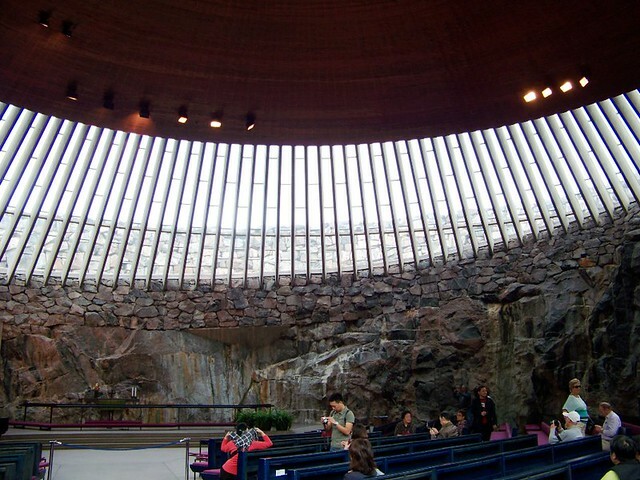 But when conductor Paavo Berglund shared his knowledge of acoustics from some of the best music halls and the acoustical engineer Mauri Parjo gave requirements for the wall surfaces the Suomalainen brothers discovered that they could fulfill all the requirements for the acoustics by leaving the rock walls exposed in the Church Hall. The church furnishings were designed by the architects. 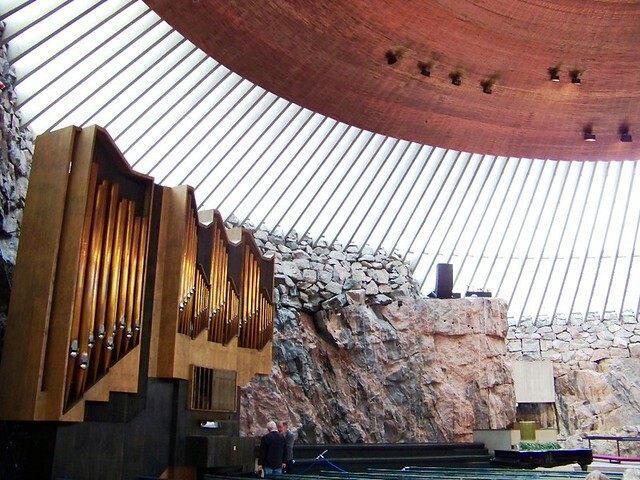 Organ builder Veikko Virtanen manufactured the church organ, which has 43 stops. 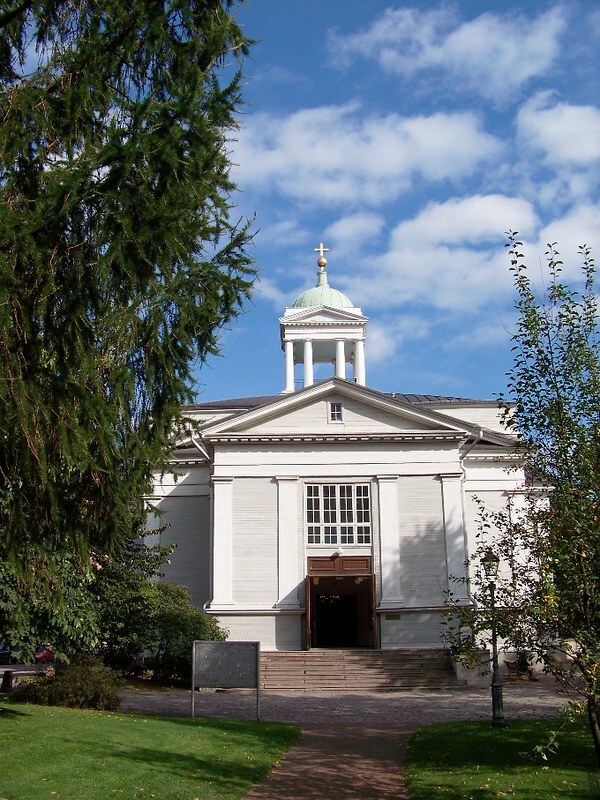 There are no bells at the church; a recording of bells composed by Taneli Kuusisto is played via loudspeakers on the exterior wall. 1) Finland has only been an independent country since 1918. Before that it belonged to Russia or Sweden. Nevertheless, it’s been doing very well since. 2) It has been at the top of the worldwide Press Freedom Ranking list every year since the publication of the first index by Reporters Without Borders in 2002. 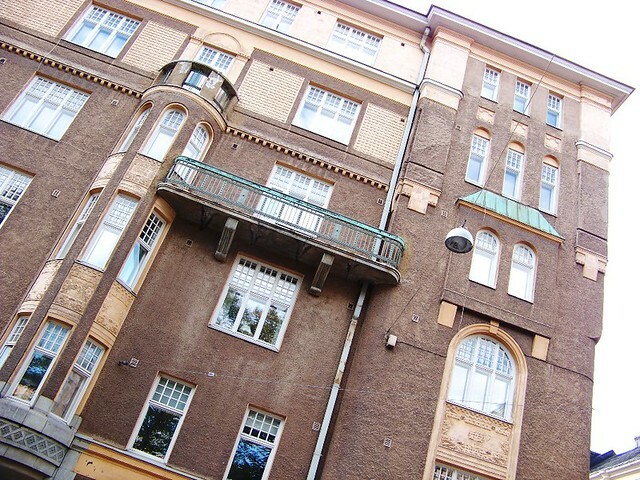 3) According to the 2007 UNICEF report on child well-being in rich countries, Finland has the highest level of academic achievements of all surveyed countries for reading, mathematics and sciences. However, it also has the lowest percentage of children ‘liking school a lot’ (only 8%). 4) Since 2004, Finland has regularly been ranked as 2nd or 3rd best country for the State of the World’s Mothers by Save the Children. 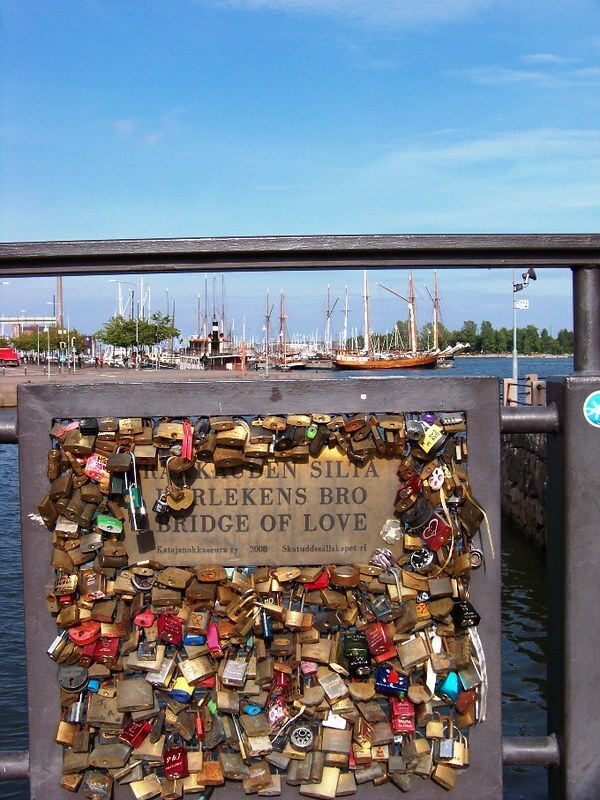 5) Finnish language (a.k.a. Suomi) is an non Indo-European language belonging to the Uralic family, along with Estonian and Hungarian, as well as some languages spoken by native people of the Russian North. 6) The current president of Finland, Tarja Halonen, is a woman, as are 12 of the 20 government ministers. 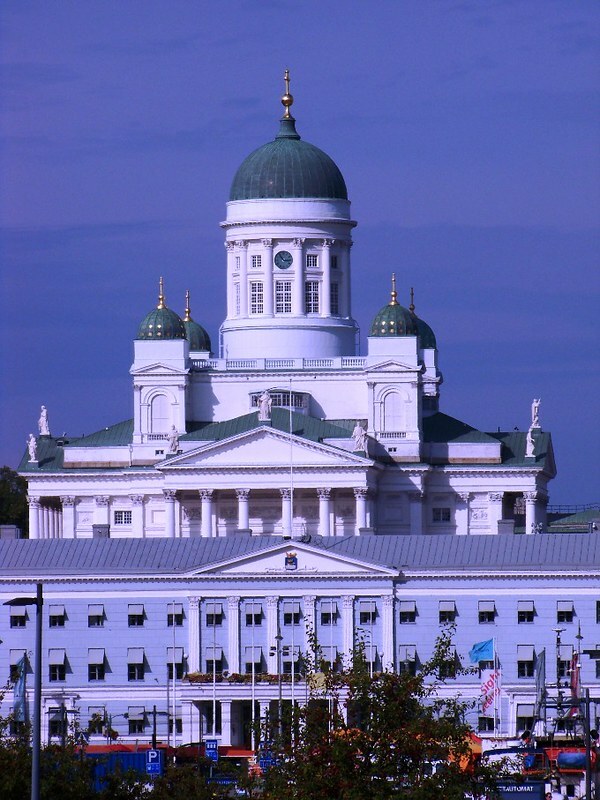 7) According to the World Audit study, Finland is the least corrupt and most democratic country in the world as of 2012. 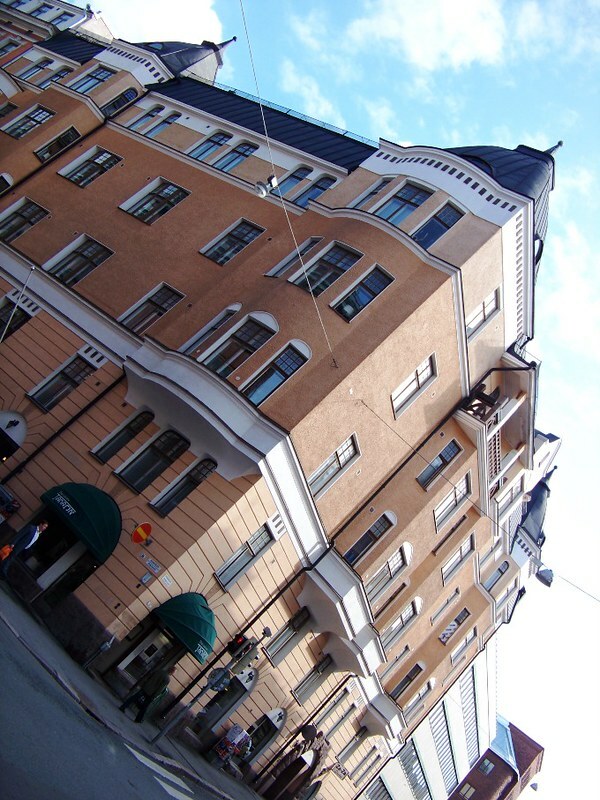 8) Finland obtained respectively the 1st and 2nd position at the World Economic Forum’s Global Competitiveness Report and Growth Competitiveness Index Ranking in 2006. 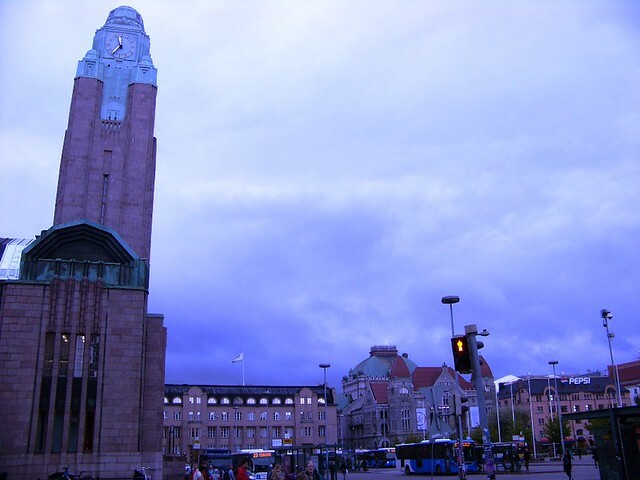 9) Finland has been ranked first on the Environmental Sustainability Index of Yale and Columbia University. It was also ranked first for technological achievement by the United Nations Development Program. 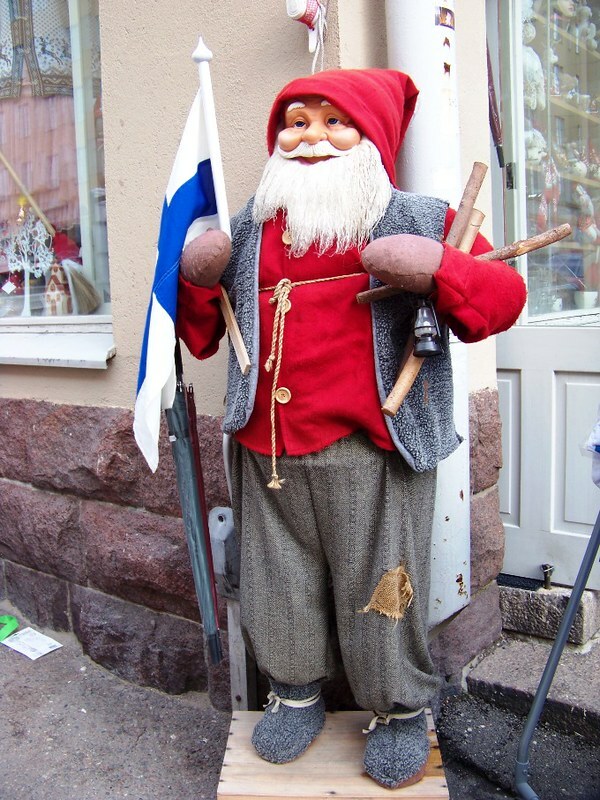 Santa Claus (known in Finland as Joulupukki or “Yule Goat”) officially resides in a house built right on top of the Arctic circle, near the town of Rovaniemi, in the northern province of Lappland. The Santa Claus Post Office (address: Santa Claus Village, FIN-96930 Arctic Circle) receives some 700,000 letters every year from children from 198 countries (so far). 1) The Finns are the world’s biggest coffee drinkers, gulping down no less than 12 kg of the black substance annually, twice more than the Italians, three times more than the Americans, and four times more than the Brits. 2) Nokia Corporation was the world’s largest manufacturer of mobile telephones from 1998 to 2012, with a global market share of over 35% between 2006 and 2009. 3) Finnish athletes have won more Summer Olympic medals per capita than any other nation. As of 2012, Finland had won in total 302 Summer Olympic medals (incluidng 101 gold medals) for a population of only 5.4 million. That is an average of 55.9 medals (18.7 gold medals) per million people. Finland is only second to Norway for the number of Winter Olympic medals per capita (28.8 medals/million). 4) Drivers from Finland have won more World Rally championships (14 titles) than any other country, and more Formula One championships compared to their country’s population (4 titles for 5 million inhabitants – the next best being Austria with 4 titles for a population of 8 million). 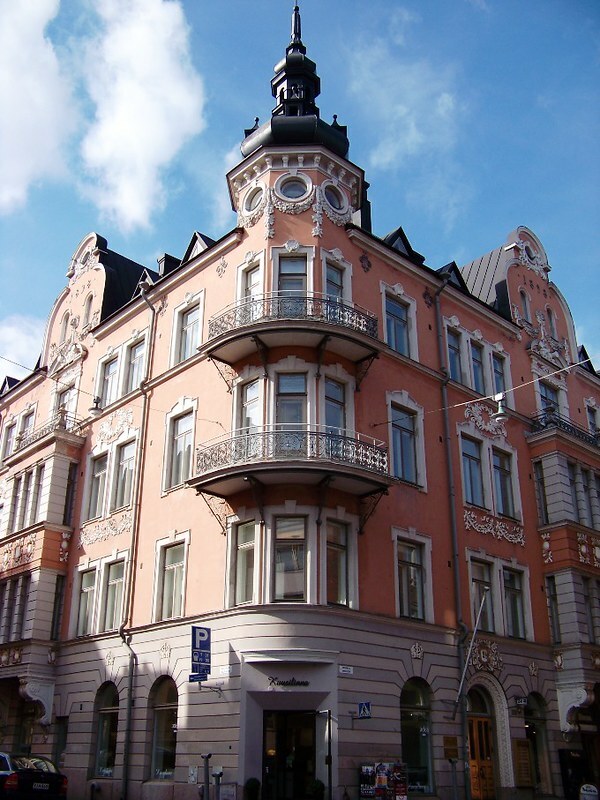 Finland has a nominal per-capita income of over $46,000 (2012). 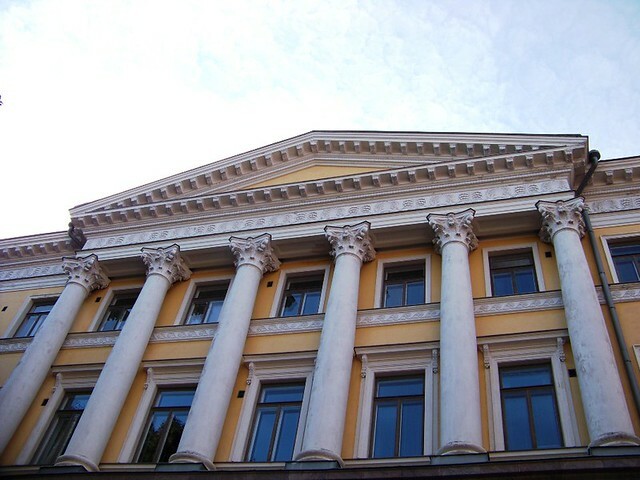 According to some measures, Finland has the best educational system in Europe and has recently been ranked as one of the world’s most peaceful and economically competitive countries. 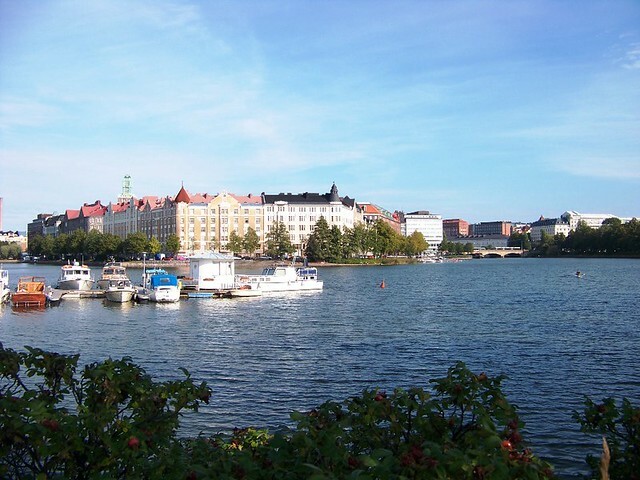 It has also been ranked as one of the world’s countries with the highest quality of life. In 2010, Newsweek magazine ranked Finland as the overall “best country in the world” after summing various factors (including coffee?). 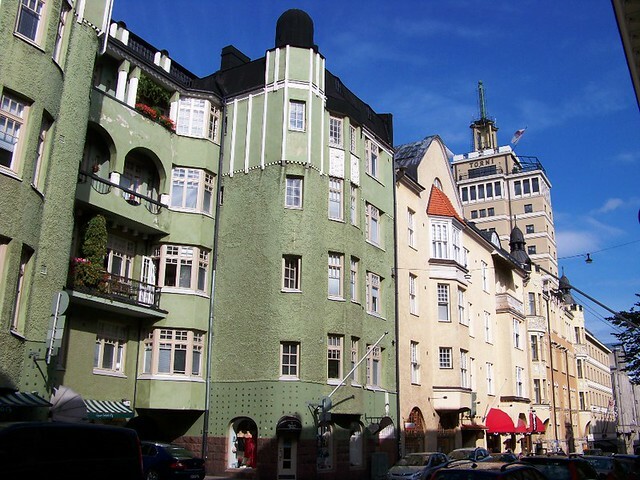 When Russia defeated Sweden in the Finnish War and annexed Finland as the autonomous Grand Duchy of Finland in 1809, the town finally began to develop into a substantial city. 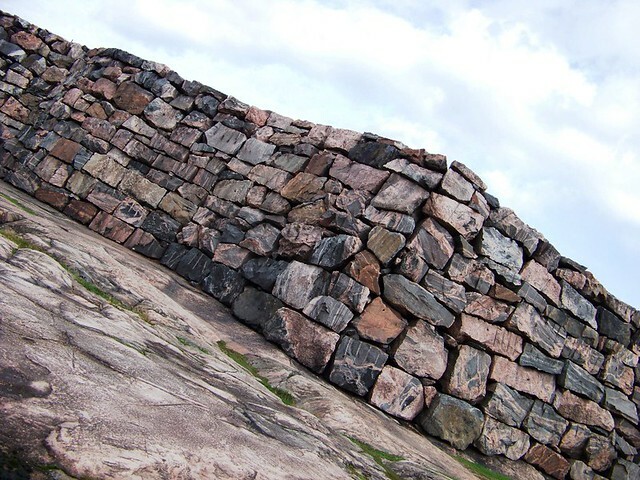 During the war, Russians besieged the Sveaborg fortress and about one quarter of the town was destroyed in an 1808 fire. 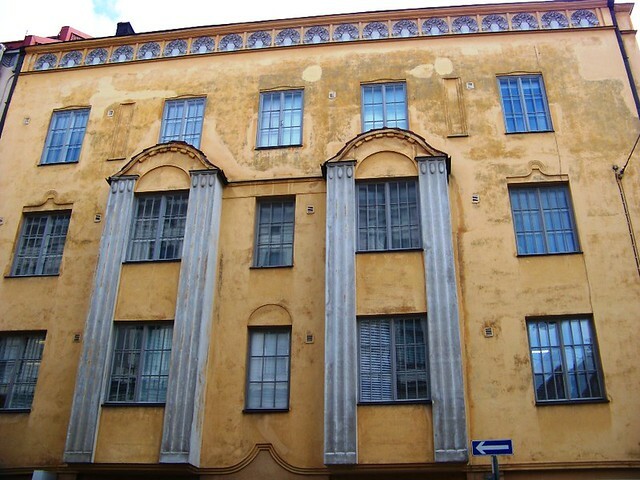 Czar Alexander I of Russia moved the Finnish capital from Turku to Helsinki in 1812 to reduce Swedish influence in Finland and bring the capital closer to St. Petersburg. 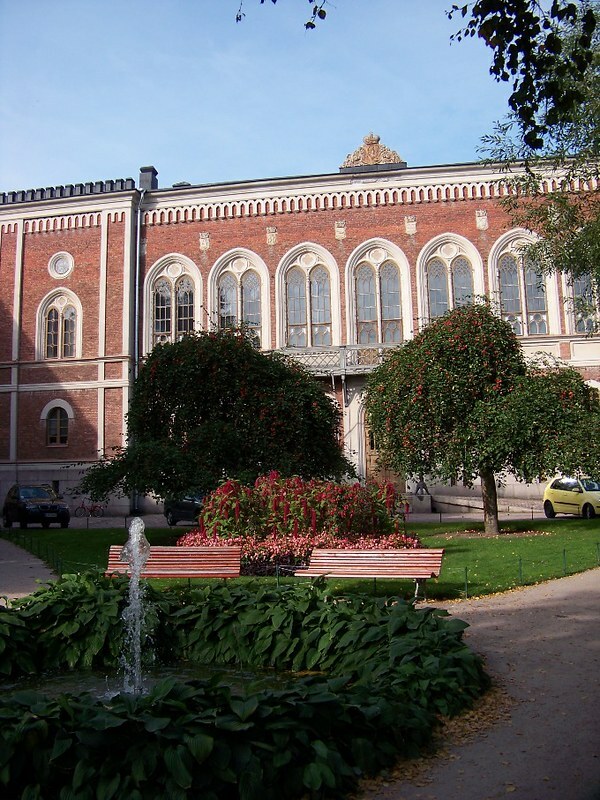 Following the Great Fire of Turku in 1827, The Royal Academy of Turku, at the time the country’s only university, was also relocated to Helsinki, and eventually became the modern University of Helsinki. 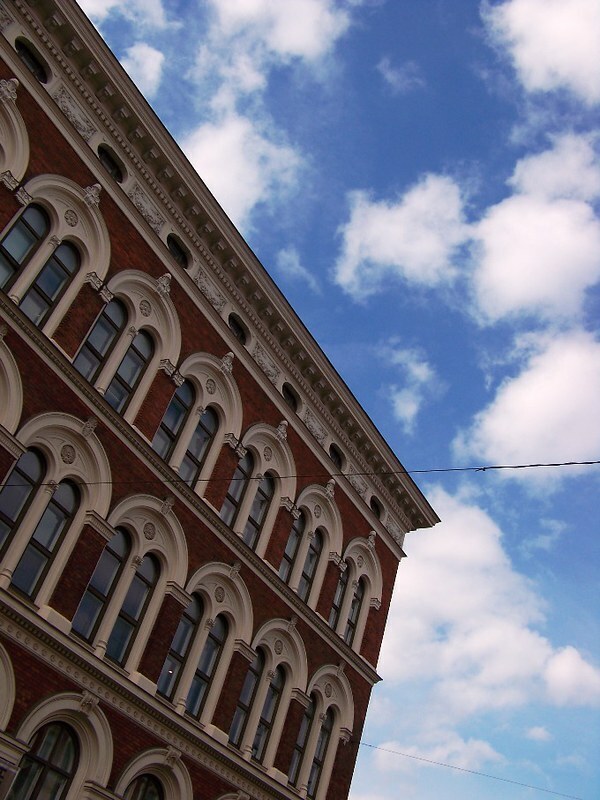 The move consolidated the city’s new role and helped set it on the path of continuous growth. 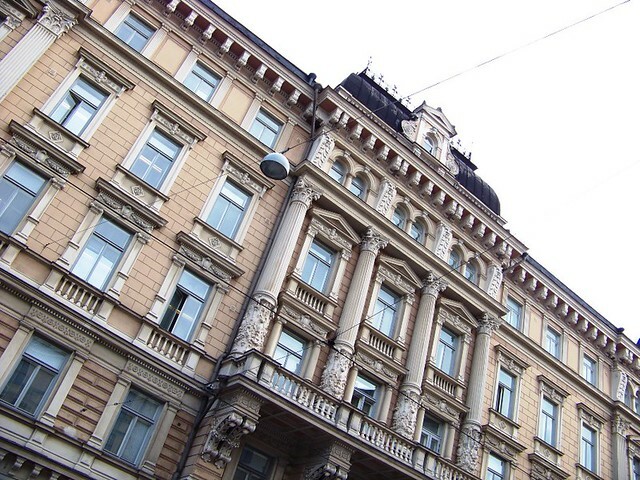 This transformation is highly apparent in the downtown core, which was rebuilt in neoclassical style to resemble St. Petersburg, mostly to a plan by the German-born architect C. L. Engel. According to archaeological evidence, the area now comprising Finland was settled at the latest around 8500 BCE during the Stone Age as the ice sheet of the last ice age receded. 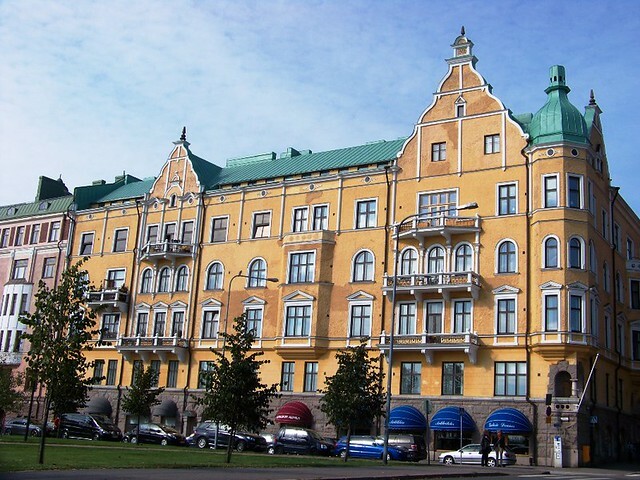 Once under Russia’s control, Finland didn’t really get a break from what it sought to shelter itself from back since the days of Swedish control. The Finnish famine of 1866–1868 killed 15% of the population, making it one of the worst famines in European history. The famine led the Russian Empire to ease financial regulations, and investment rose in following decades. 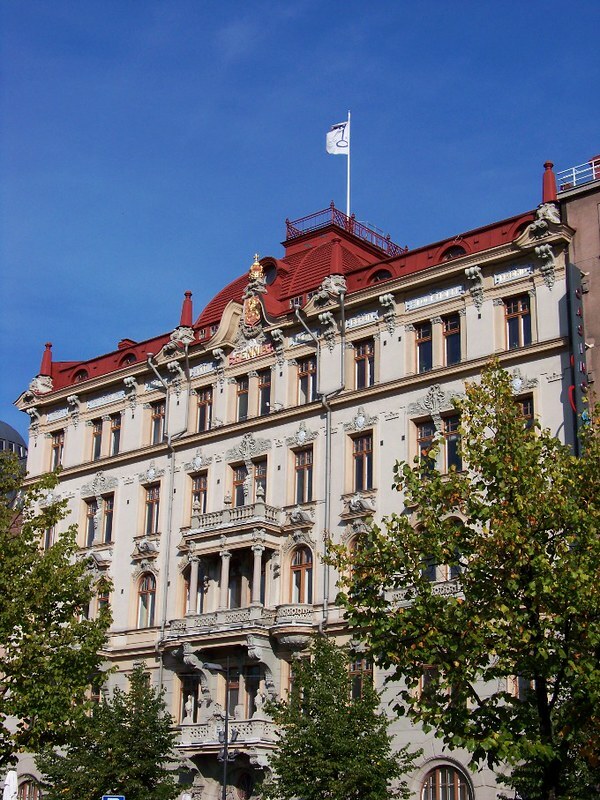 In 1906, universal suffrage was adopted in the Grand Duchy of Finland. 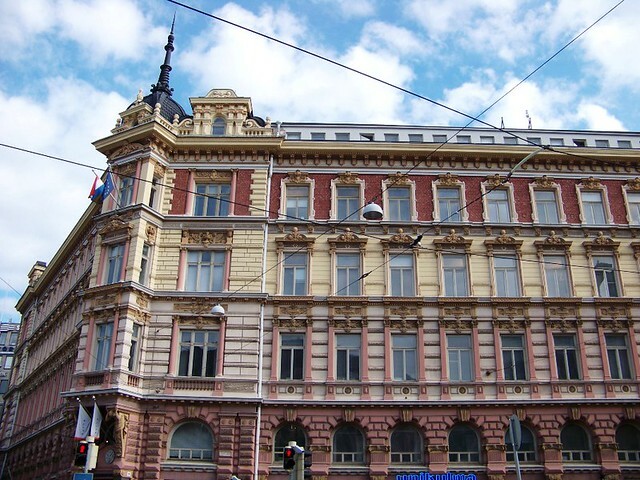 However, the relationship between the Grand Duchy and the Russian Empire soured when the Russian government made moves to restrict Finnish autonomy. For example, the universal suffrage was, in practice, virtually meaningless, since the czar did not have to approve any of the laws adopted by the Finnish parliament. Desire for independence gained ground, first among radical liberals and socialists. 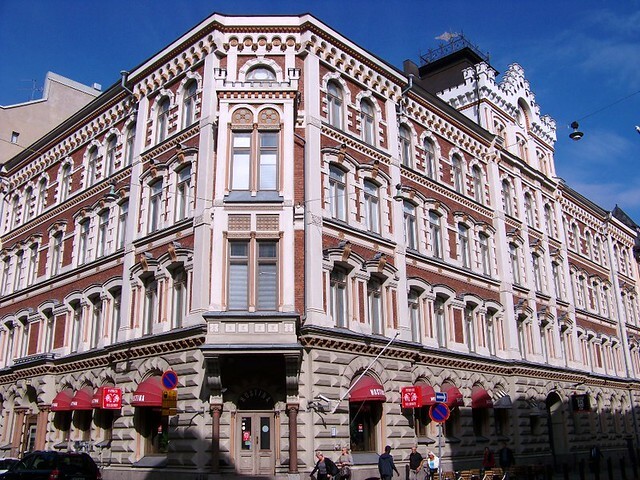 After the 1917 February Revolution, the position of Finland as part of the Russian Empire was questioned, mainly by Social Democrats. Since the head of state was the Czar of Russia, it was not clear who the chief executive of Finland was after the revolution. 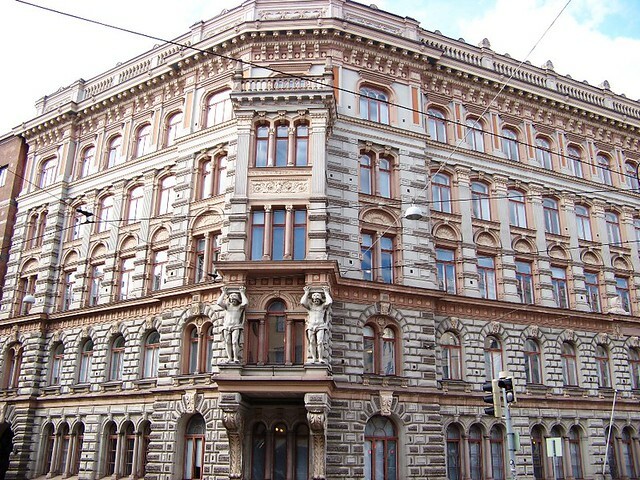 The parliament, controlled by social democrats, passed the so-called Power Act to give the highest authority to parliament. 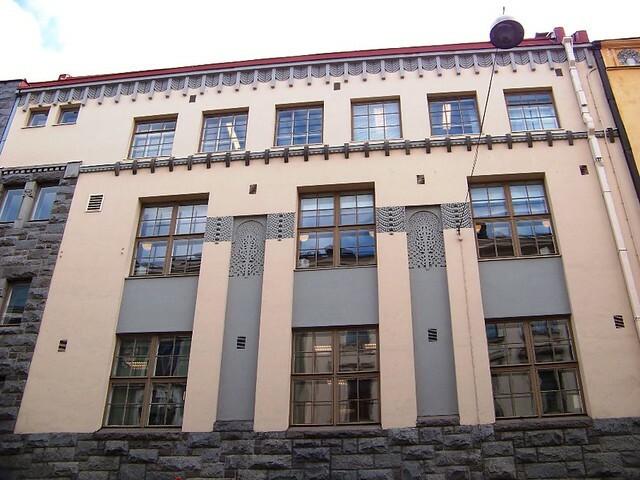 This was rejected by the Russian Provisional Government and by the right-wing parties in Finland. The Provisional Government dissolved the parliament by force, which the social democrats considered illegal since the right to do so had been stripped from the Russians by the Power Act. New elections were conducted, in which right-wing parties won a slim majority. Some social democrats refused to accept the result and still claimed that the dissolution of the parliament (and thus the ensuing elections) were extralegal. On 27 January 1918, the official opening shots of the war were fired in two simultaneous events. The government started to disarm the Russian forces in Pohjanmaa, and the Social Democratic Party staged a coup. The latter succeeded in controlling southern Finland and Helsinki, but the white government continued in exile from Vaasa. This sparked the brief but bitter civil war. At the end of the war, after a brief flirtation with monarchy, Finland became a presidential republic, with Kaarlo Juho Ståhlberg elected as its first president in 1919. St. John’s Church (Finnish: Johanneksenkirkko, Swedish: Johanneskyrkan) stands on a hill that for many centuries had been a place for Midsummer bonfires (Midsummer is now also “John’s Day”, Juhannus in Finnish). 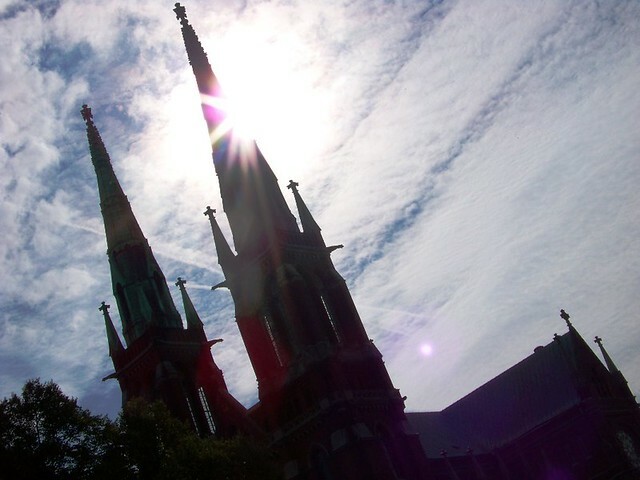 It is a Lutheran church designed by the Swedish architect Adolf Melander in the Gothic Revival style. 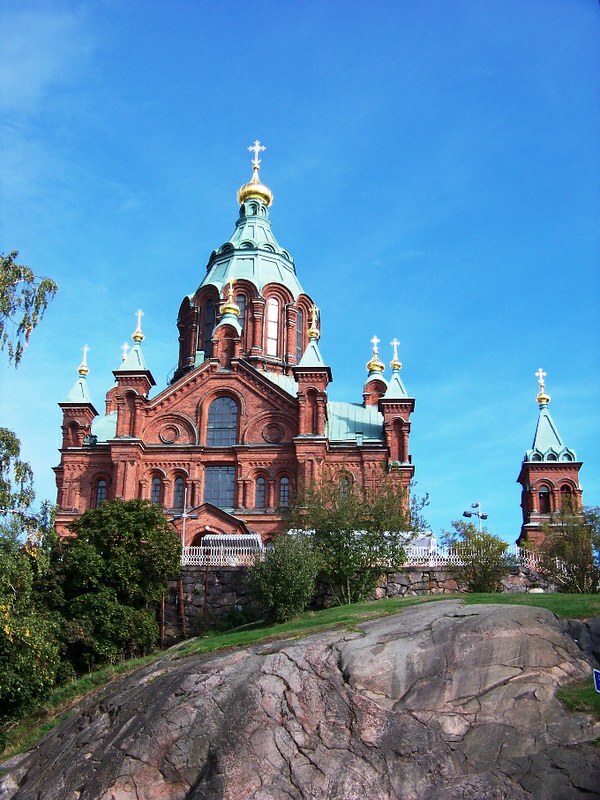 It is the largest stone church in Finland by seating capacity of 2,600 people. 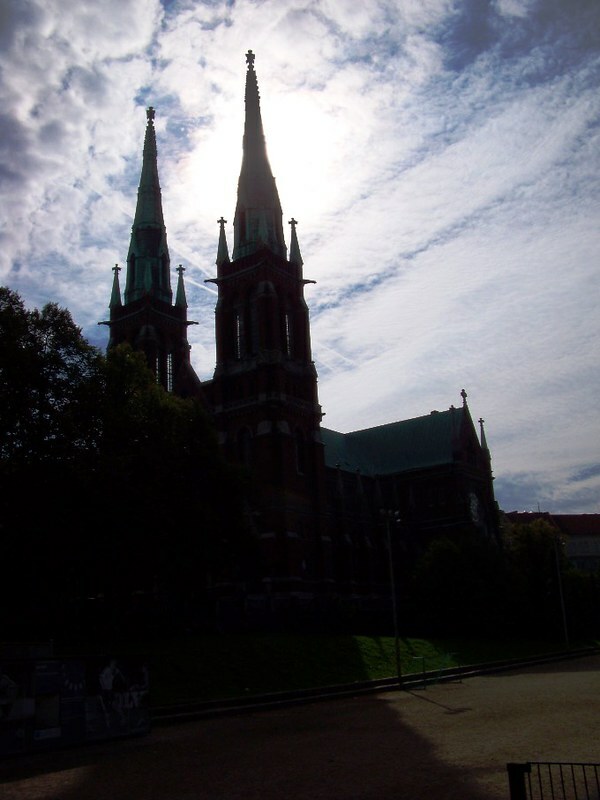 It was built between 1888 and 1893, the third Lutheran church in Helsinki, and still the biggest. The twin towers are 74 meters tall. 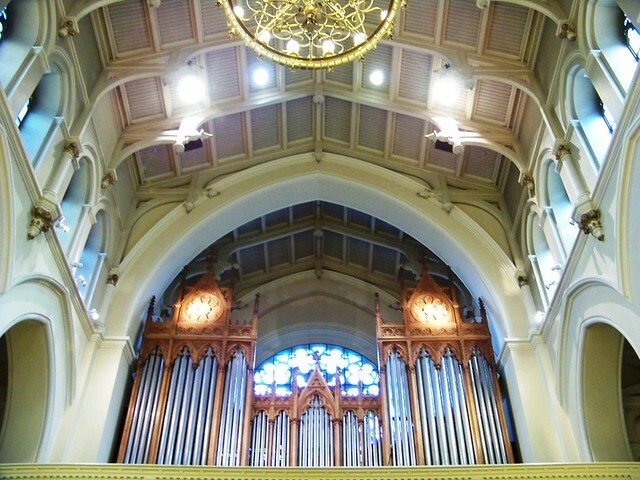 The church has excellent acoustics, and it is therefore used for big concerts and events as well as services. The altarpiece shows Saul’s conversion and the painting, called A Divine Revelation, is by Eero Järnefelt, brother-in-law to Jean Sibelius. 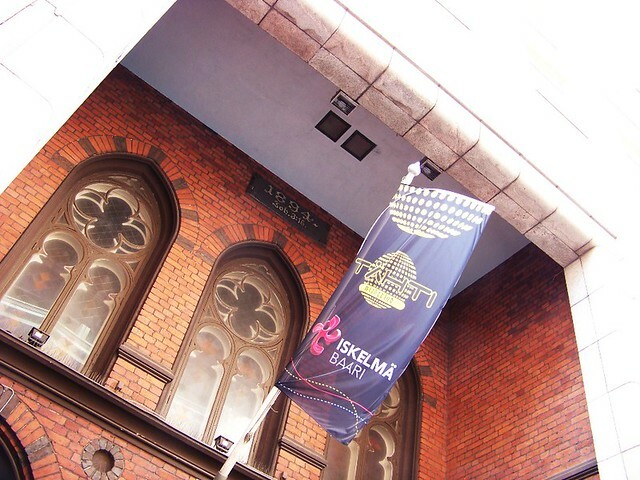 The composer Oskar Merikanto was an organist here for a time. 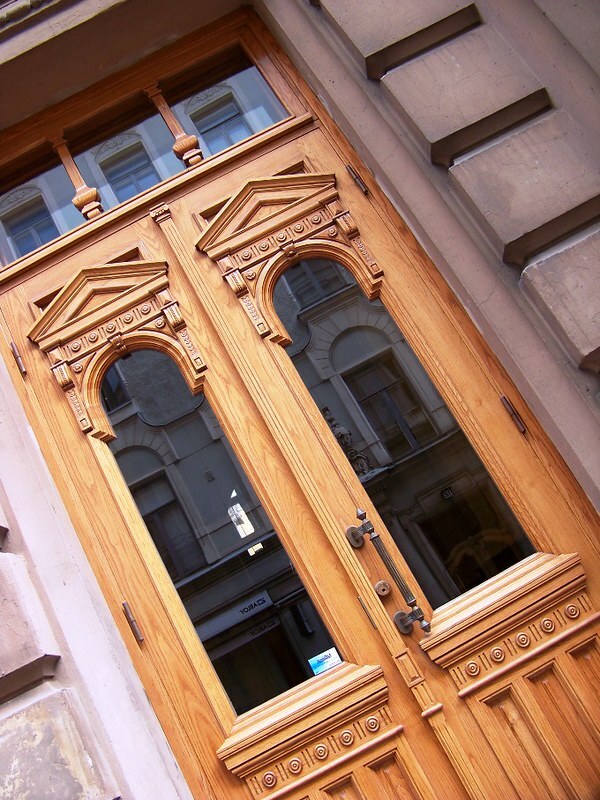 Due to many fires, few wooden buildings of the past make it to modern days. 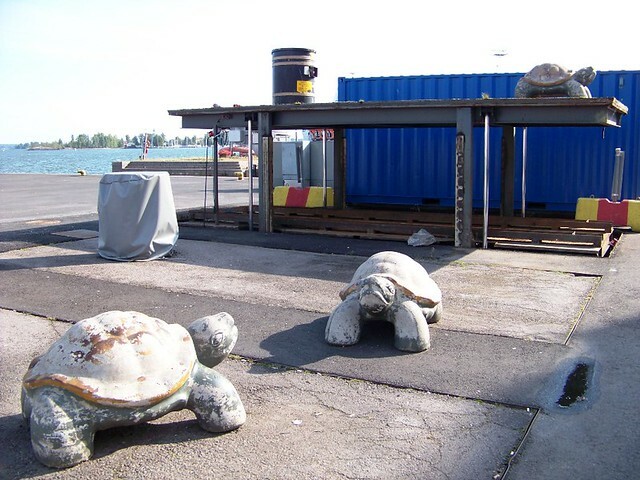 A few, however, survive in Helsinki. 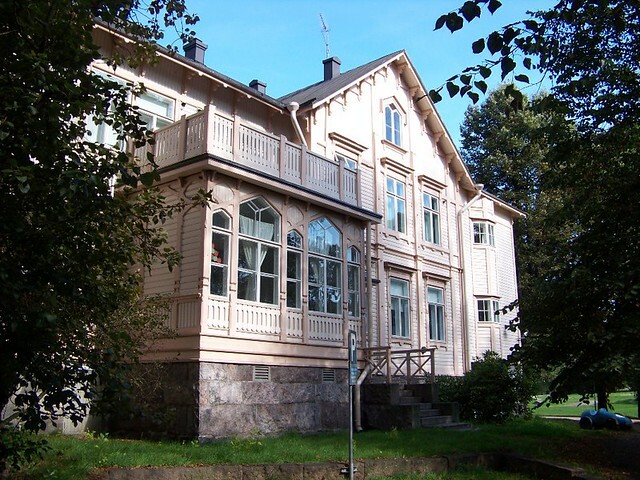 Hugo Neuman, an engineer, designed this two-story wooden building in 1876 as a residential villa. After construction it was changed many times so that nowadays only some sections of the walls and the stone foundation remain. Puistokatu 2 and the neighbouring Puistokatu 4 are the only surviving buildings of an earlier more extensive villa district in western Kaivopuisto. 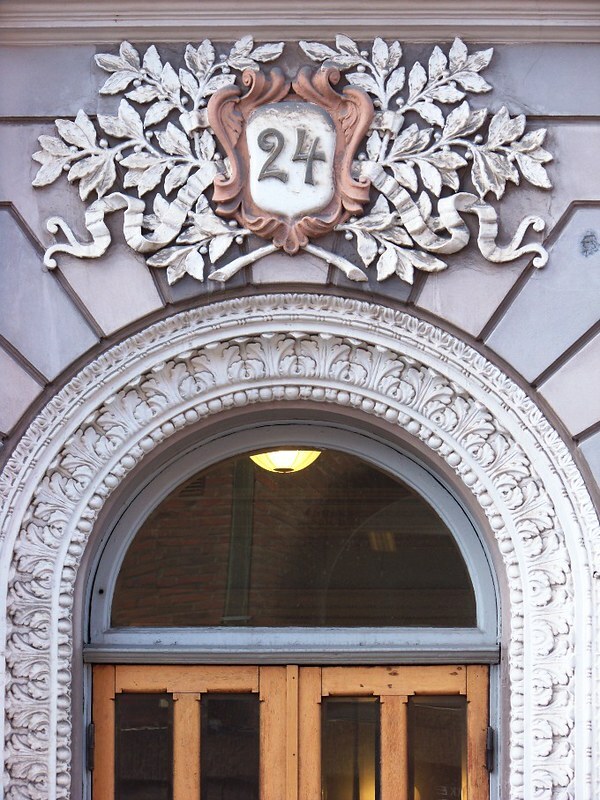 The building now houses a day-care center. 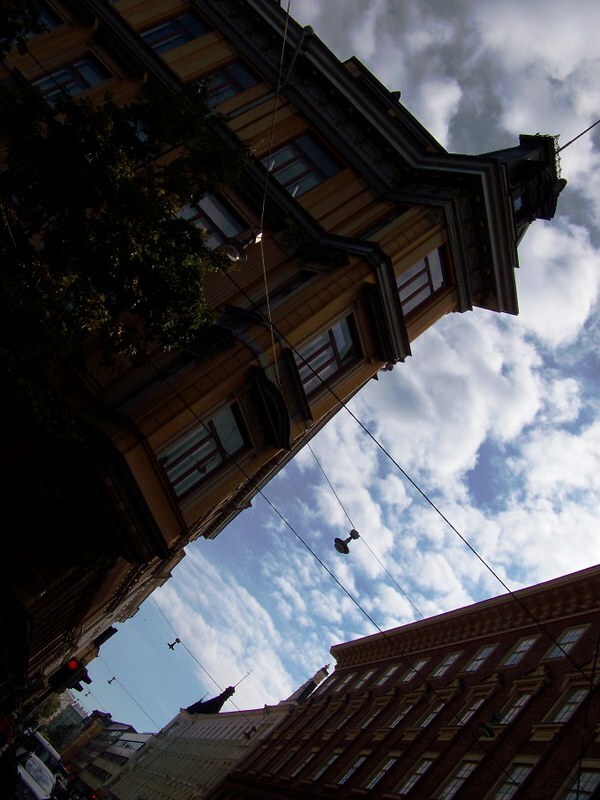 You can explore other Helsinki’s wooden houses here. (The tiny) St. Henry’s Cathedral is dedicated to Henry, Bishop of Uppsala. 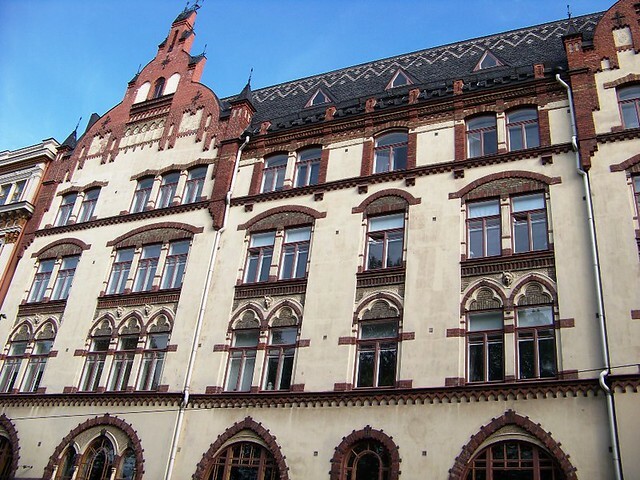 It was constructed between 1858–1860. 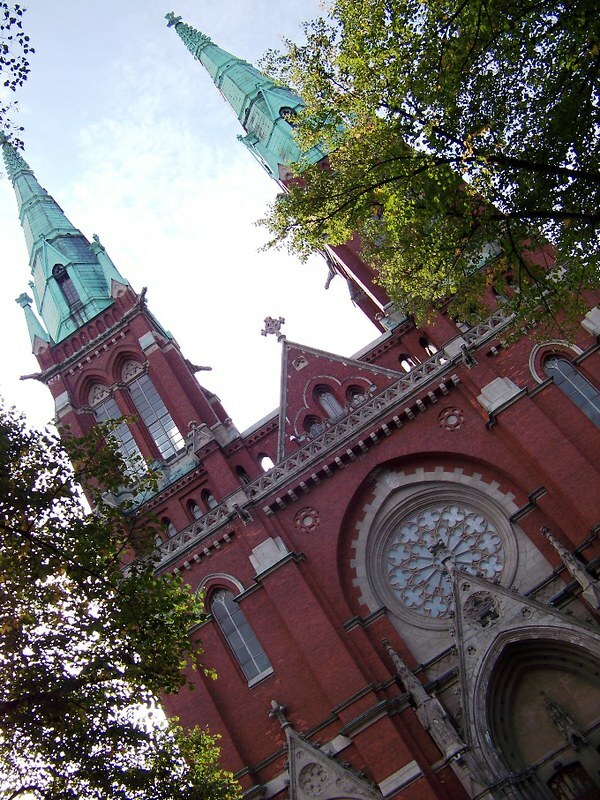 The architecture of the church is Gothic Revival with statues of Saint Henry, Saint Peter and Saint Paul decorating the exterior. 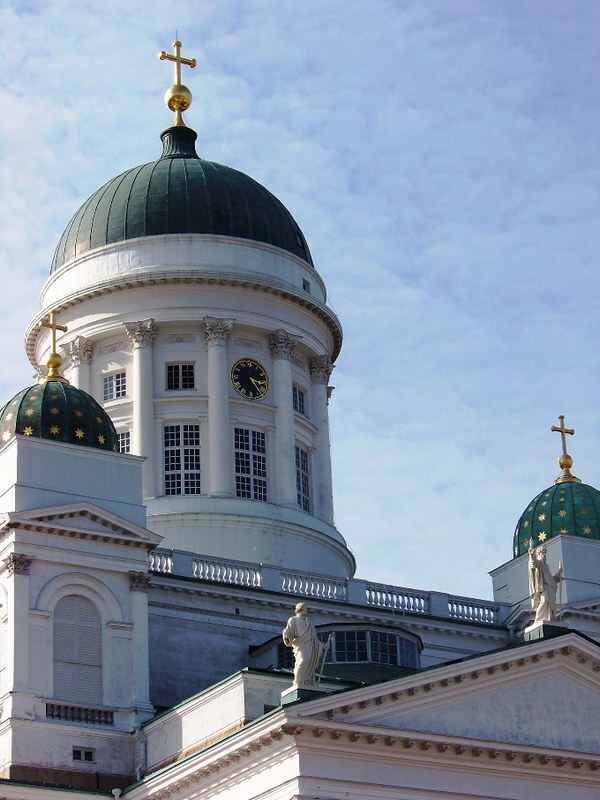 Since Finland is predominantly Lutheran, the church was intended primarily for use by Catholic foreigners. 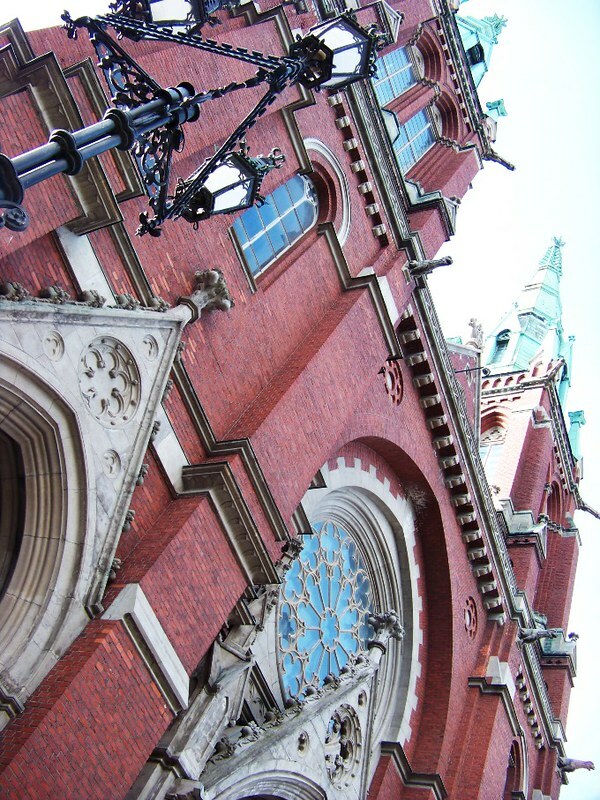 The church is the main Catholic church in Helsinki, and offers Mass in many languages. 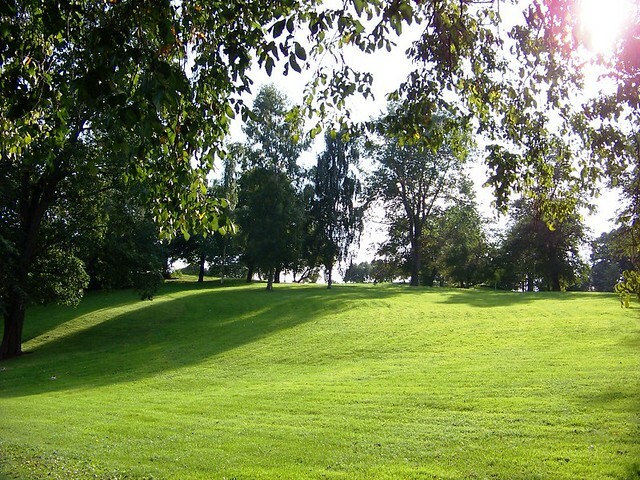 Helsinki has many green, public spaces – great for the summer time weather and the eye of the beholder! 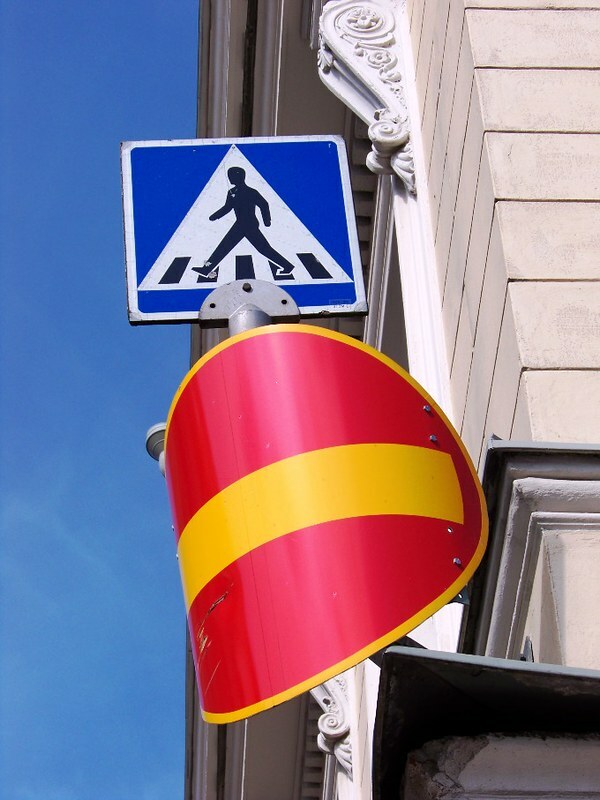 This is actually a cool concept: some of the traffic signs are bent so that they are visible from all angles of approach. 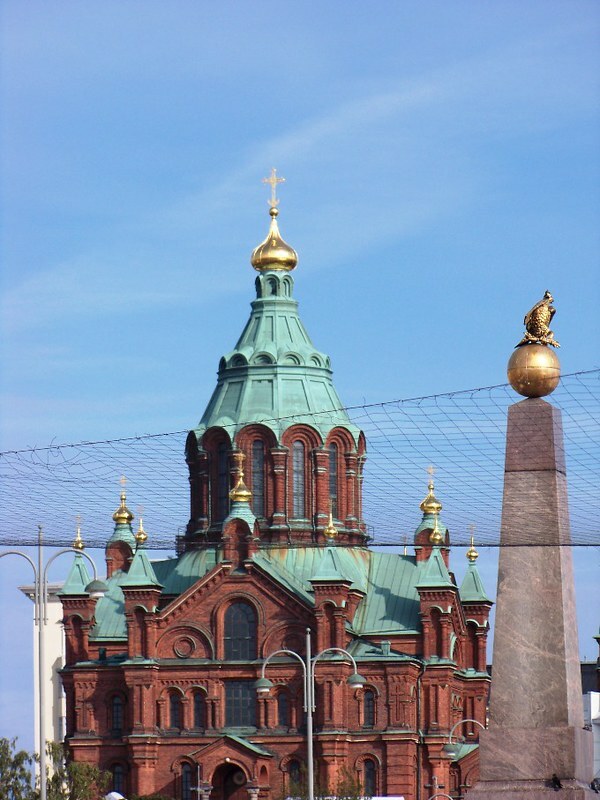 This was actually the very first prominent thing we saw once off the ferry the day before – the Uspenski Cathedral (Finnish: Uspenskin katedraali, Swedish: Uspenskij-katedralen, Russian: Успенский собор, Uspenskij sobor) – an Eastern Orthodox cathedral dedicated to the Dormition of the Theotokos (the Virgin Mary). 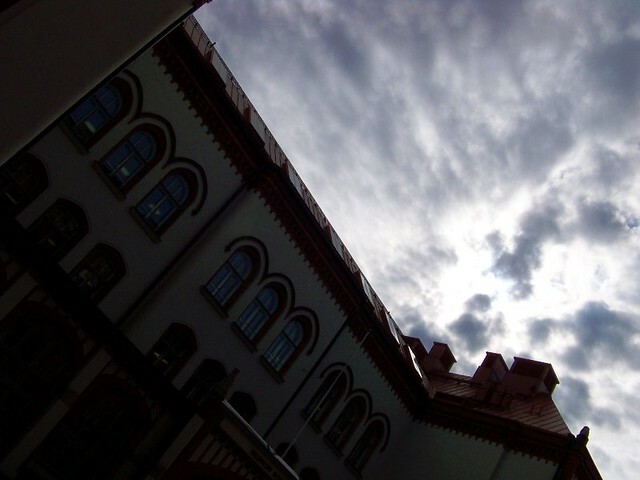 Its name comes from the Old Church Slavonic word uspenie, which denotes the Dormition. 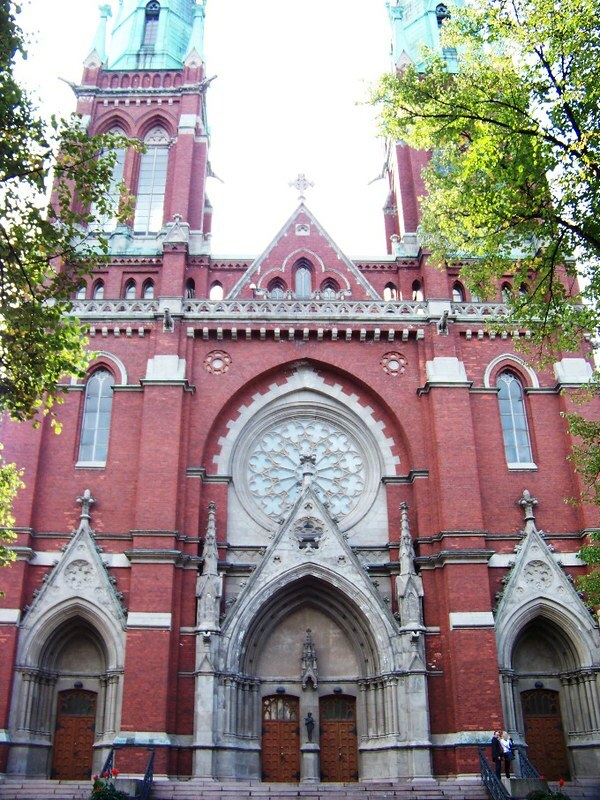 Designed by the Russian architect Alexey Gornostaev, the cathedral was built after his death in 1862–1868. 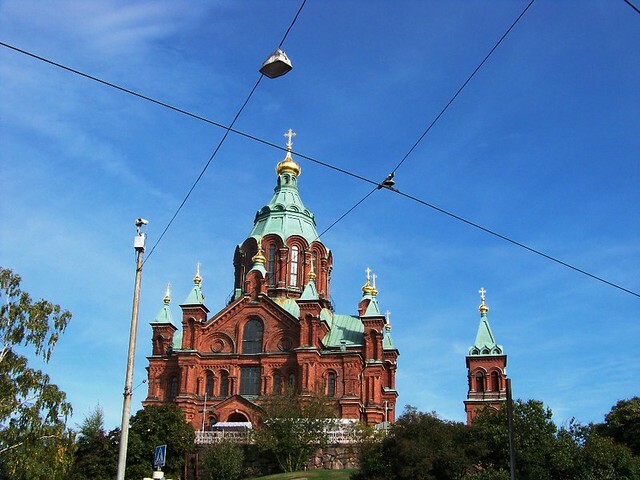 The Cathedral is set upon a hillside on the Katajanokka peninsula overlooking the city. 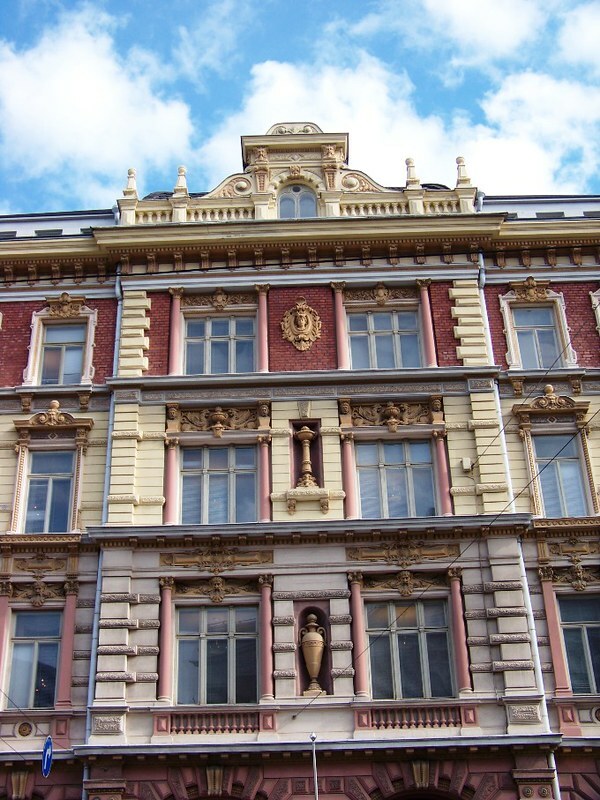 On the back of the cathedral, there is a plaque commemorating Russian Emperor Alexander II, who was the sovereign of the Grand Duchy of Finland during the cathedral’s construction. 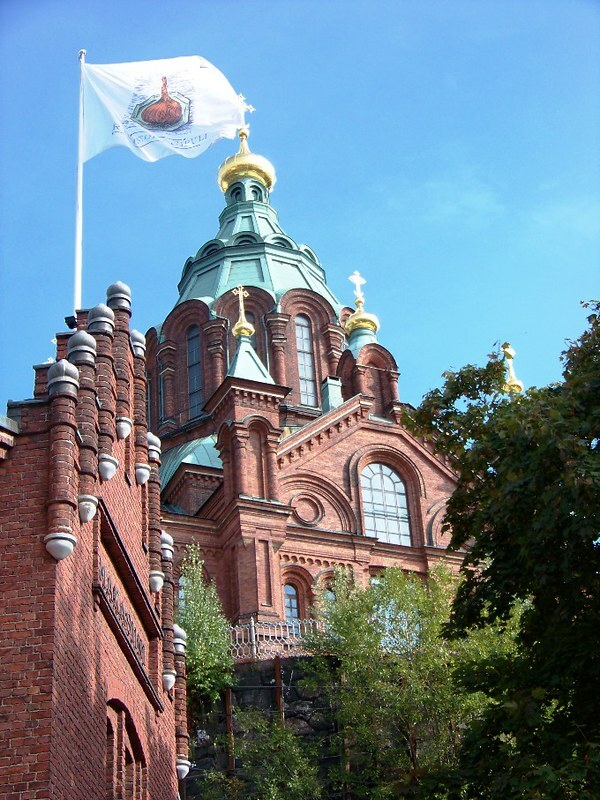 Main cathedral of the Finnish Orthodox Church in the diocese of Helsinki, Uspenski Cathedral is claimed to be the largest orthodox church in Western Europe. 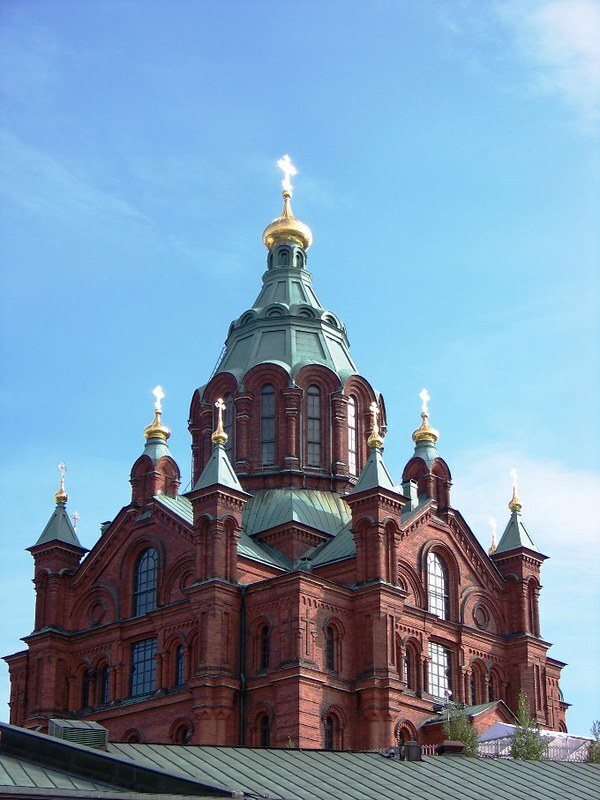 The cathedral has several valuable icons, among others St. Nicolas – The Wonder Maker, which was stolen on 16 August 2007 between midday and 1 p.m. in broad daylight while hundreds of tourists were visiting the cathedral. 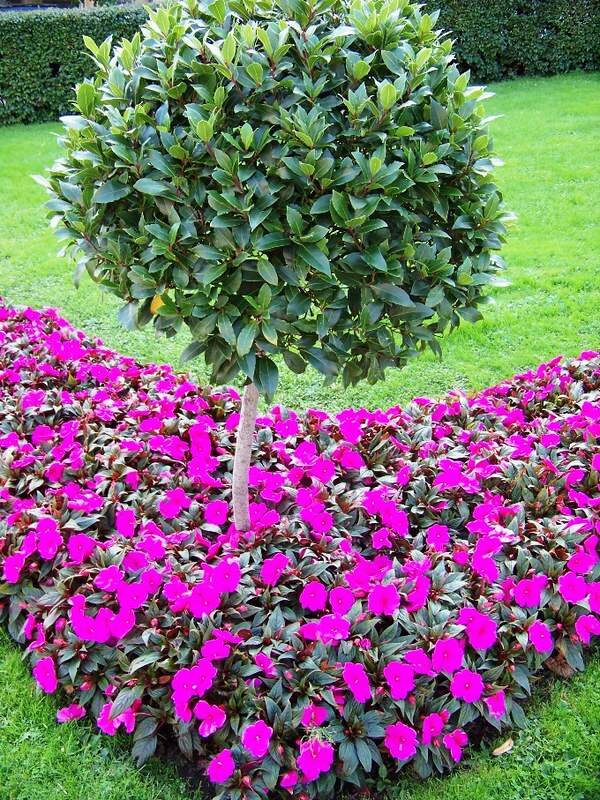 The icon is from the 19th century and is of a rare variant. 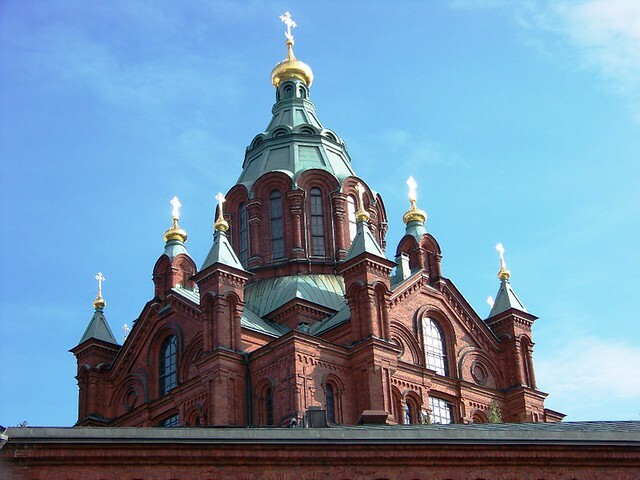 Originally it was given to the Orthodox Cathedral of Vyborg, from where it was moved to Helsinki during the Second World War. 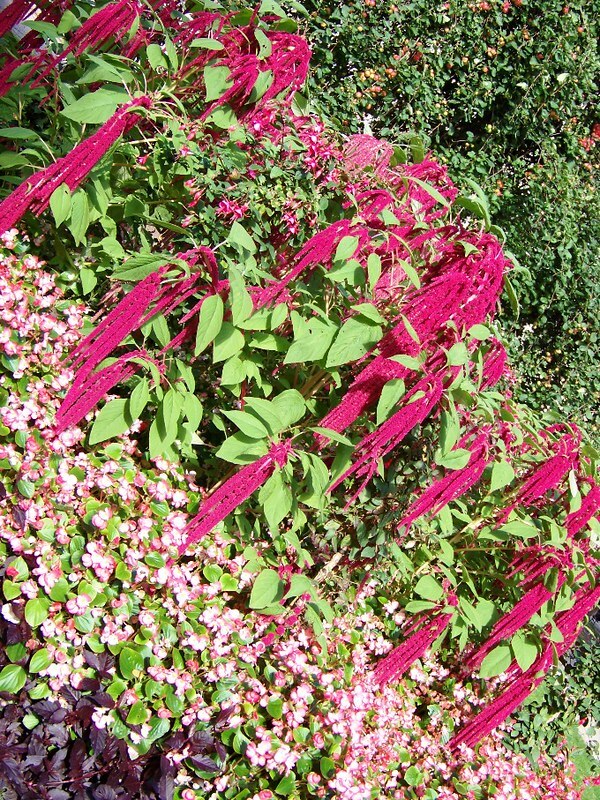 No further details of its origin are known. The icon, being 45 by 35 centimetres (18 × 14 in), was placed in a kiota (a glass covered protection frame) and weighs a couple of kilograms. It was on display on a lectern. 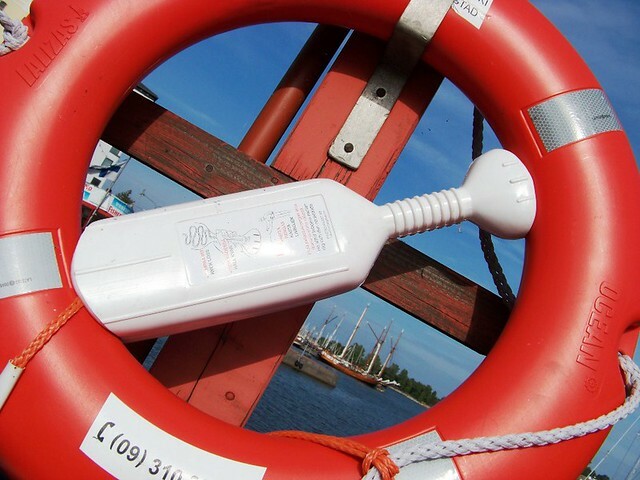 It is now being searched for in Finland as well as abroad. 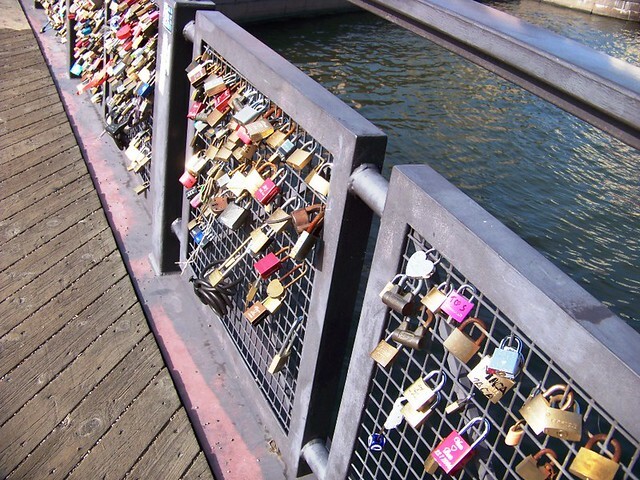 Taking a very wild guess… the lovers’ bridge? 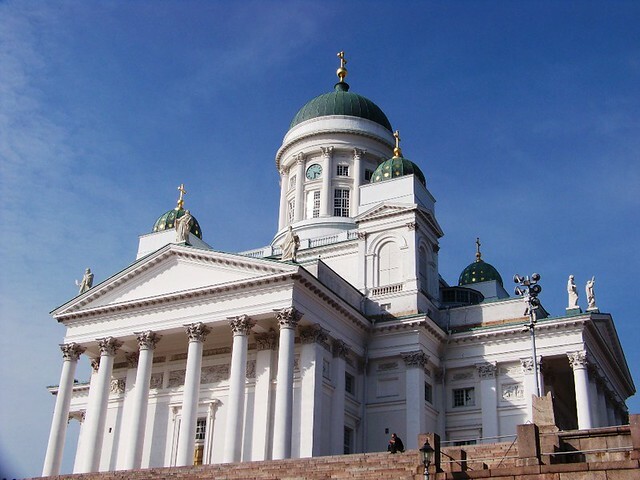 Helsinki Cathedral (Finnish: Helsingin tuomiokirkko, Suurkirkko; Swedish: Helsingfors domkyrka, Storkyrkan) is the Finnish Evangelical Lutheran cathedral of the Diocese of Helsinki. 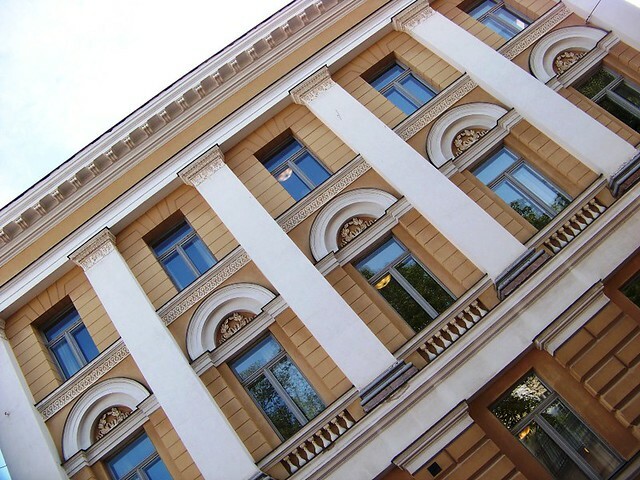 Most Finns, by the way, only attend church for special ceremonies, such as weddings. Only about 2% attend weekly services. 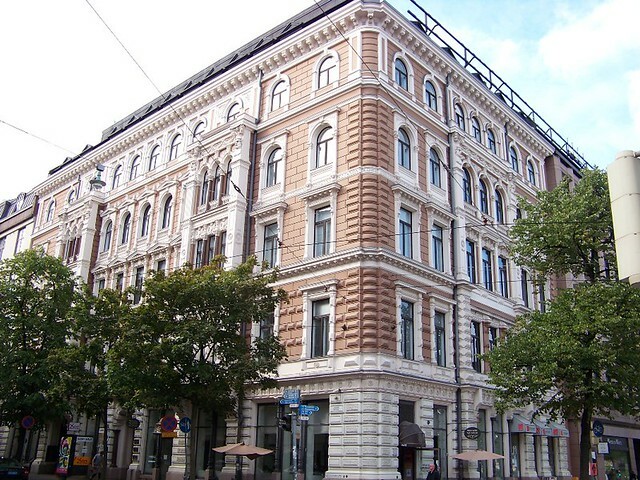 The second largest group in Finland after Lutherans is those without any religious affiliation. 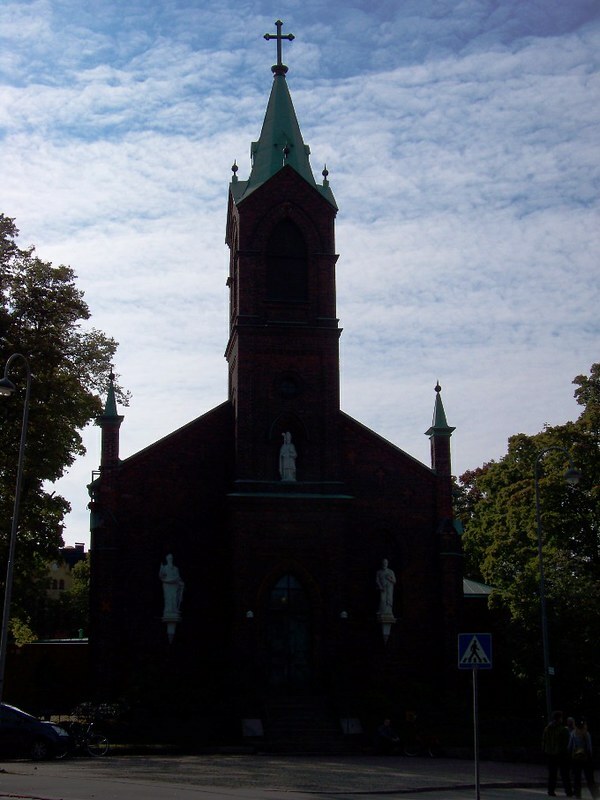 The cathedral was built on the site of the smaller Ulrika Eleonora Church, which was dedicated to its patroness, Ulrika Eleonora, Queen of Sweden. A facsimile of this church, made entirely from snow, was constructed on Senate Square in the early 2000s. Helsinki Old Church was built between 1824 and 1826 in nearby Kamppi to serve the parish while the Ulrika Eleonora Church was being demolished and until the consecration of the new cathedral. 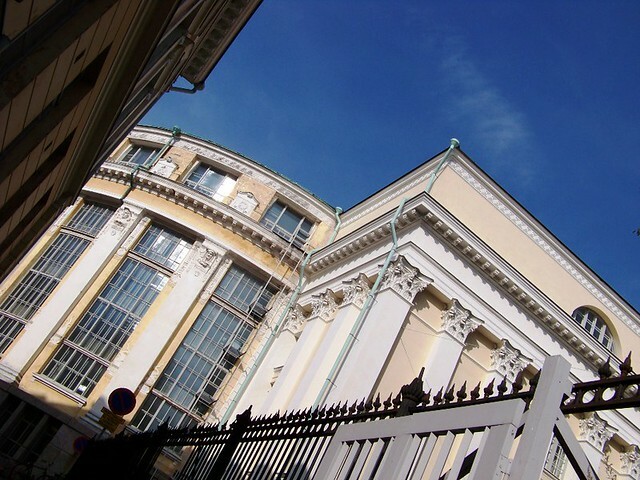 The building was later altered by Engel’s successor Ernst Lohrmann, whose four small domes emphasise the architectural connection to the cathedral’s model, Saint Isaac’s Cathedral in St. Petersburg. 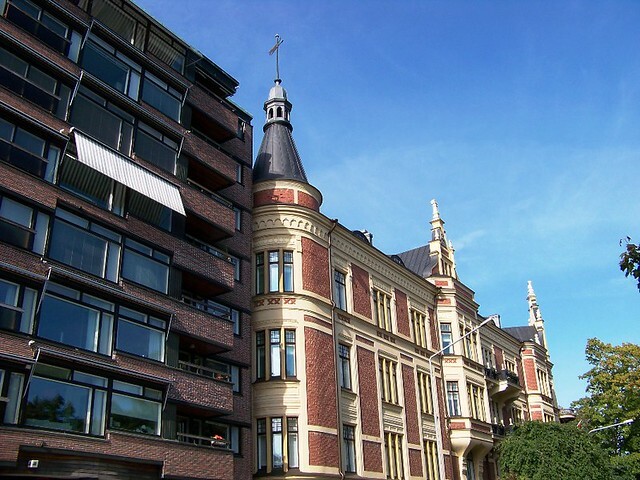 Lohrmann also erected two free-standing bell towers, as well as larger-than-life sized zinc statues of the Twelve Apostles at the apexes and corners of the roofline. The altarpiece was painted by Carl Timoleon von Neff and donated to the church by emperor Nicholas I. 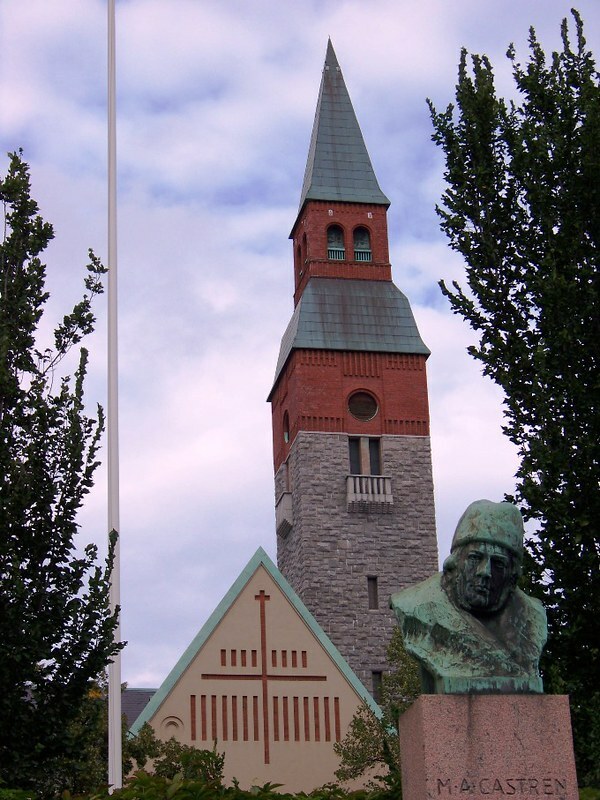 The cathedral was also known as St Nicholas’ Church until Finland’s independence in 1917. 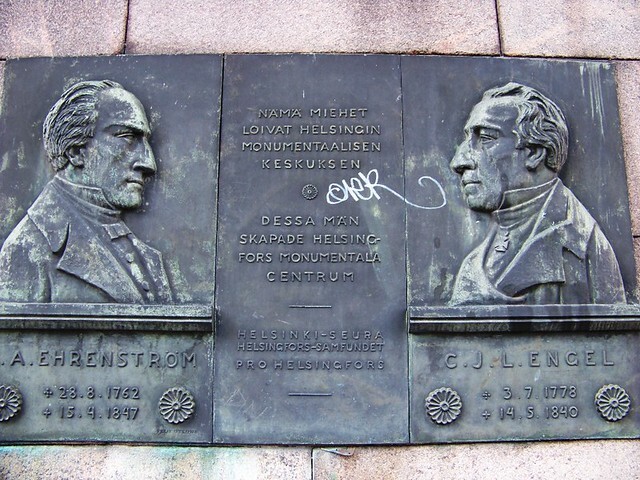 Johan Albrecht Ehrenström (1762–1847) was a notable Finnish politician and official who is best remembered as the designer of Helsinki city plan. 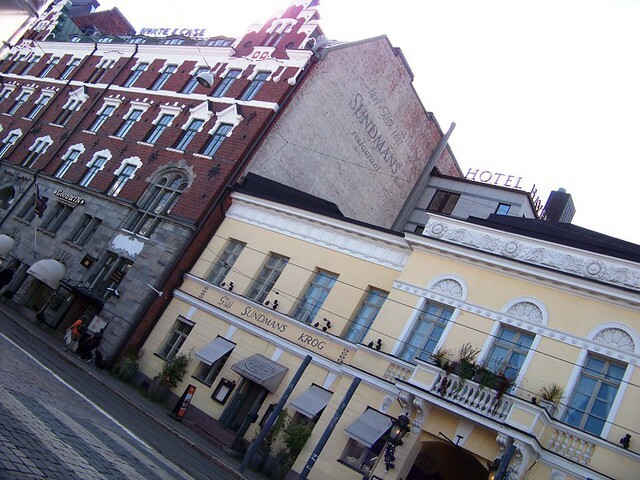 While the country was under Russian rule and the capital has moved to Helsinki, Ehrenström was selected to be the chairman of the committee in charge of rebuilding the city after a fire that destroyed many of its old wooden structures in 1808. 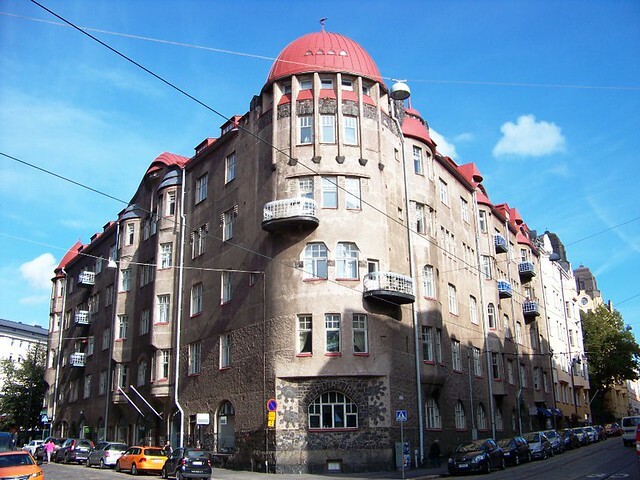 In contrast to the old medieval-style city plan with narrow and winding alleys, his vision for Helsinki was one of wide streets placed on a geometric grid in the fashion of the cities of ancient Greece. 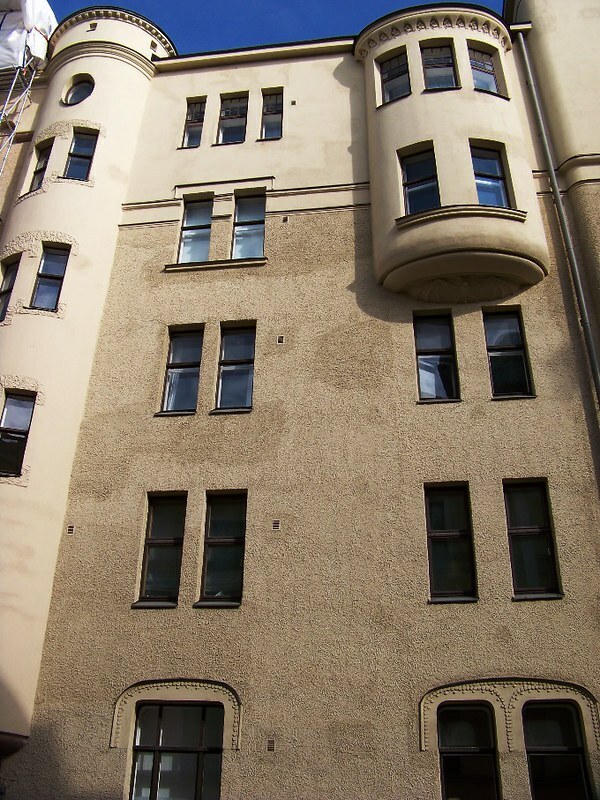 This plan was eventually approved by Tsar Alexander I of Russia, Grand Duke of Finland, and the city redesigned, led by German architect Carl Ludvig Engel. 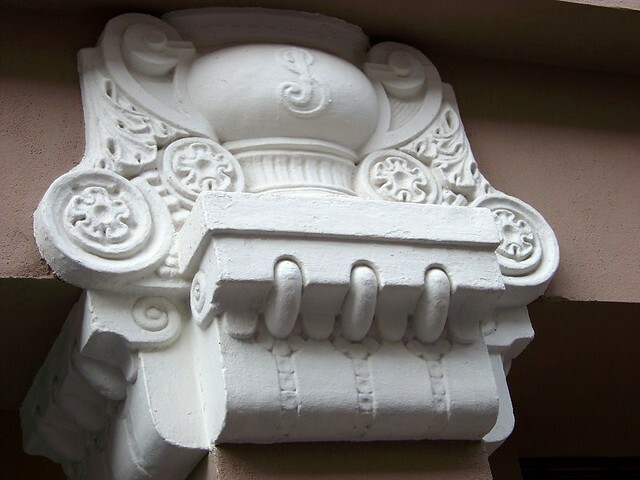 Carl Ludvig Engel, or Johann Carl Ludwig Engel (3 July 1778 – 4 May 1840), was a German architect known for his Empire style, a phase of Neoclassicism. 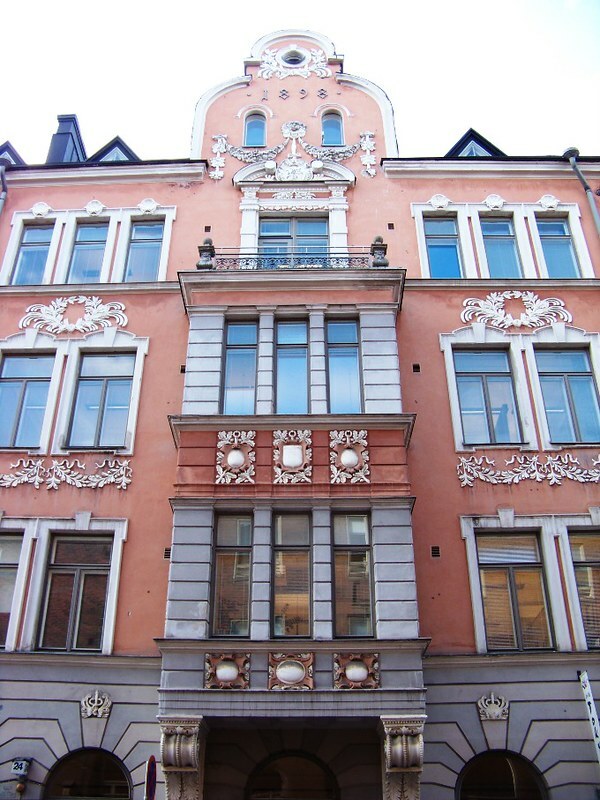 He had a great impact on the architecture of Finland in the first part of the 19th century. 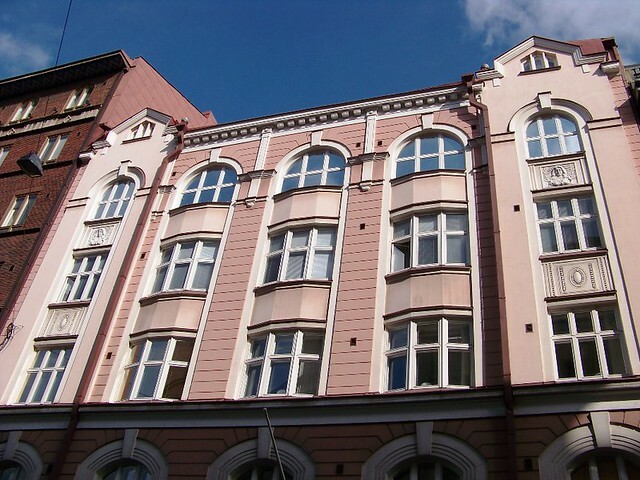 He first moved to Tallin due to lack of assignments at home following Napoleon’s victory over Prussia, then again to Turku. 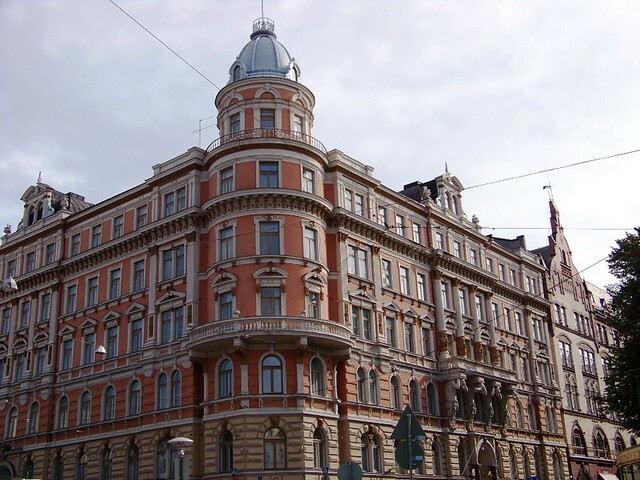 He then worked on private assignments in St. Petersburg until his plan for Helsinki reconstruction was approved by the czar. 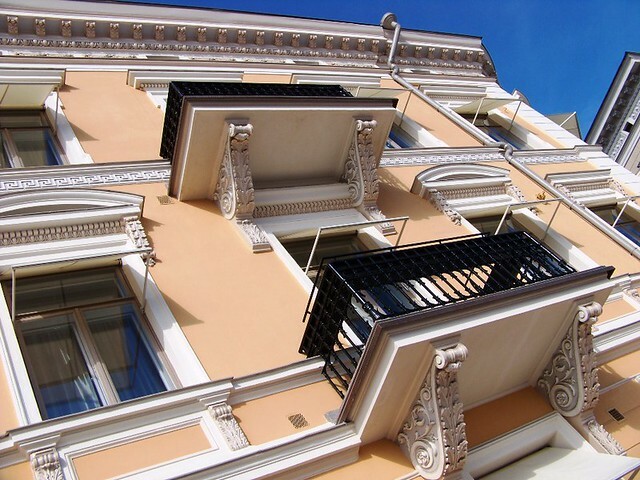 Once in Helsinki, he thought it would be another temporary job patch, but instead he kept receiving more and more assignments all around the city and Finland until in 1824 was appointed Director of Public Housing – a position he held until his death. 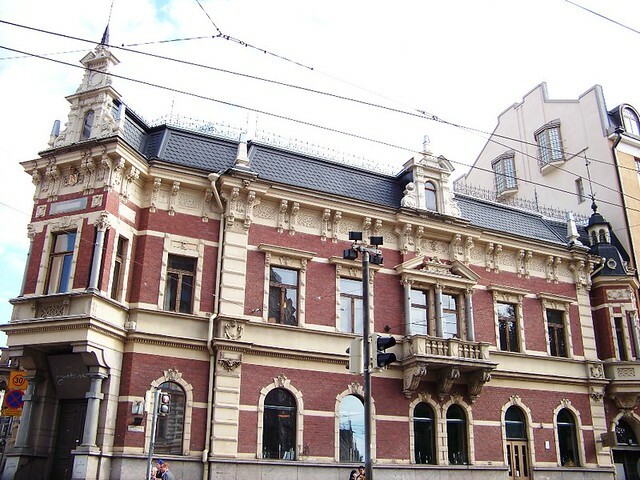 The Finnish National Theater (Finnish: Suomen Kansallisteatteri), founded in 1872 in the city of Pori, located at the Central Railway Station Square, is the oldest Finnish-language professional theater in Finland. 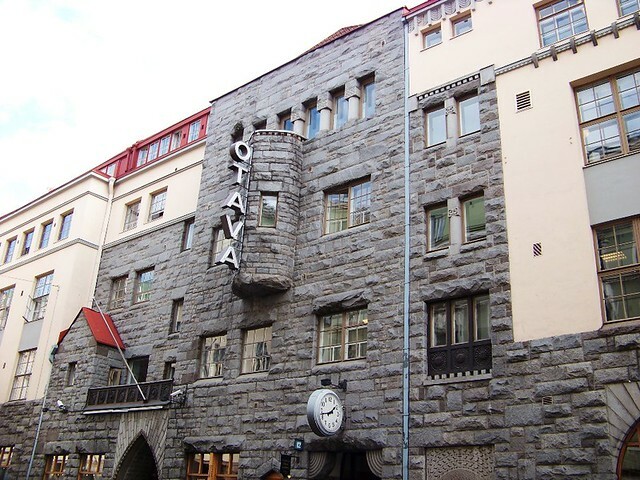 For the first thirty years of its existence it functioned primarily as a touring company until it acquired a permanent home in 1902 in the building designed by Onni Tarjanne in the National Romantic style, inspired by romantic nationalism. 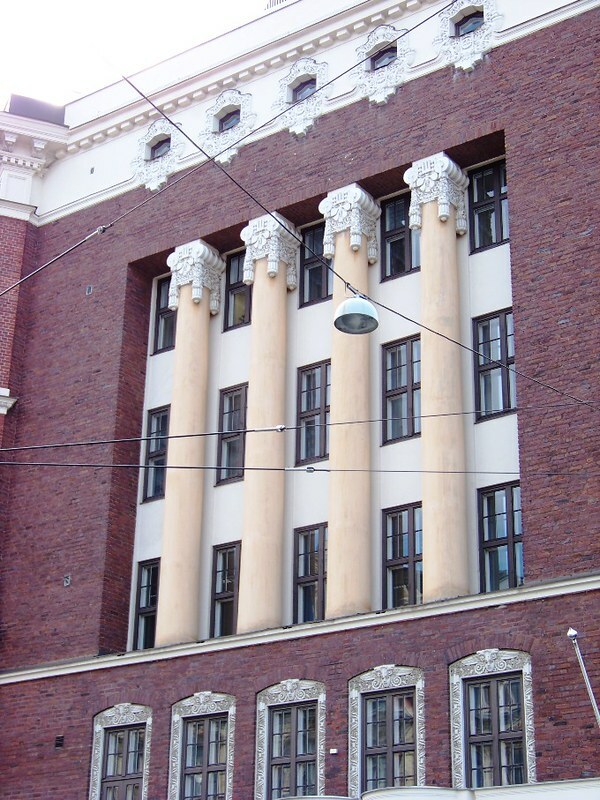 The birth of the Finnish National Theater was closely linked to the political ideology of the late nineteenth century. 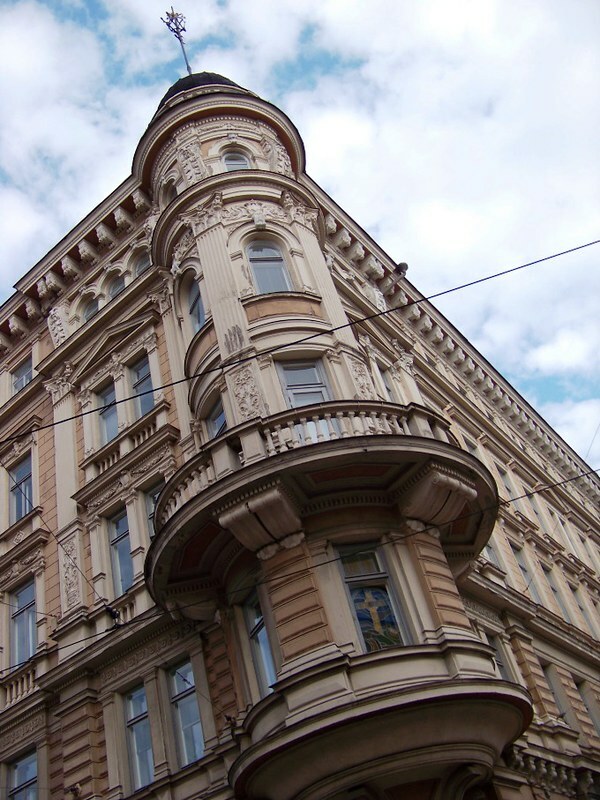 Finland was part of the Russian Empire, and its intellectual elite was Swedish speaking. 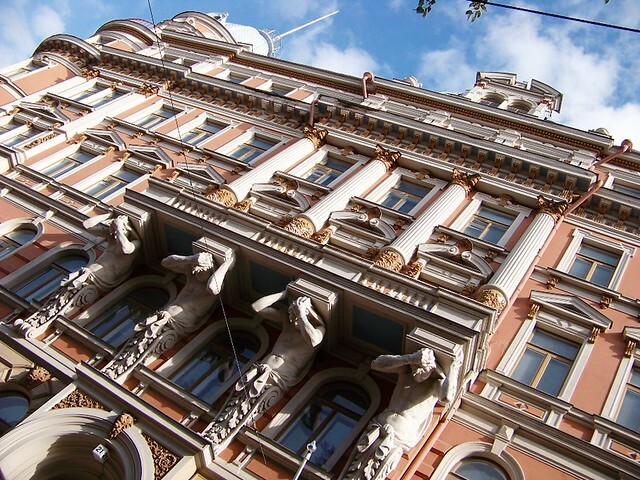 Finnish language and art, including theater, became the cornerstones of a cultural movement which began in the 1860s, gradually developed political ambitions by the turn of the century, and eventually led to national independence. 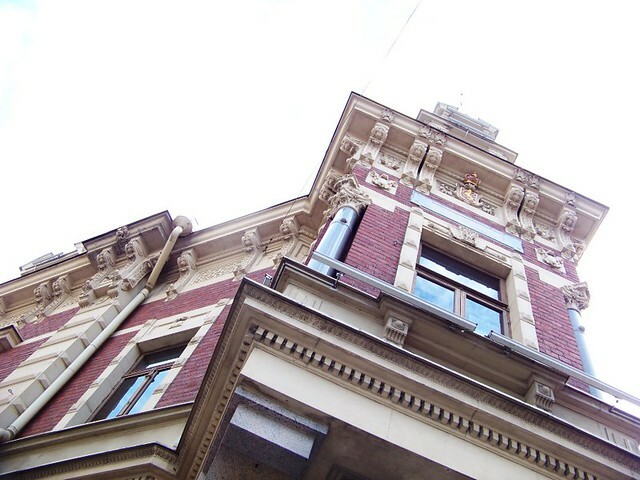 The theater established a new production unit in 2010, which was given the name of Touring Stage. This unit, which has no fixed stage, aims to take small-scale touring performances to locations throughout the country which have little or no access to theater, such as schools, day care centers, homes for the elderly, hospitals, welfare reception centers, prisons and so on. The Touring Stage’s program focuses on topical issues which are developed through community research and interaction, reaching out and giving voice to marginalized sectors of society – it’s it super cool? 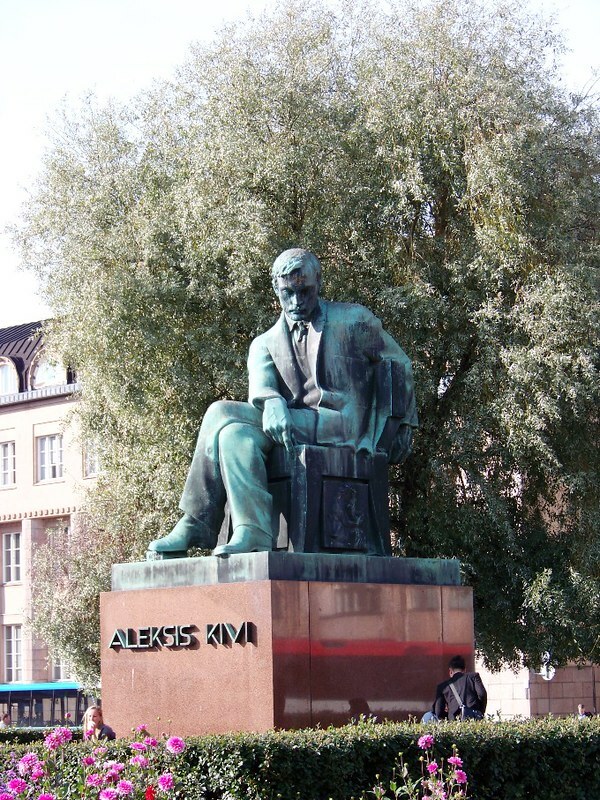 How often achievements don’t get appreciated till the person dies… In front of the Theater is a statue of Aleksis Kivi, born Alexis Stenvall, (10 October 1834 – 31 December 1872). Kivi was a Finnish author who wrote the first significant novel in the Finnish language, Seven Brothers (Finnish title: Seitsemän veljestä). 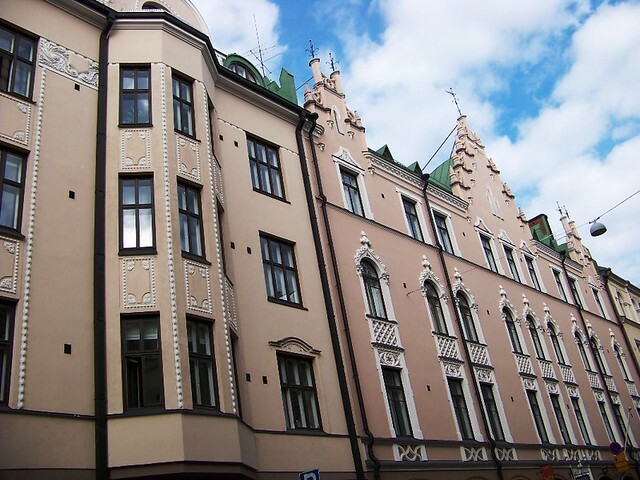 Although Kivi was among the very earliest authors of prose and lyrics in Finnish language, he is still considered one of the greatest of them all. 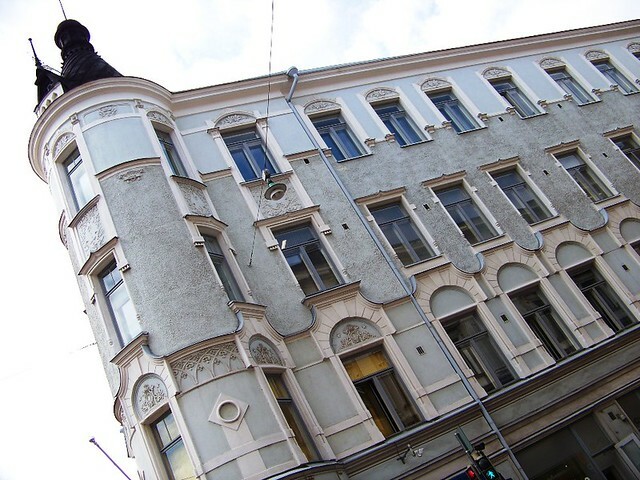 Aleksis Kivi was born into a tailor’s family. 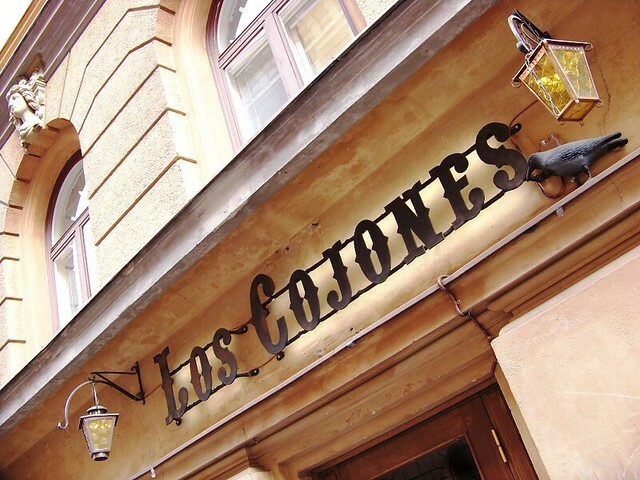 In 1846 he left for school in Helsinki, and in 1859 he was accepted into the University of Helsinki, where he studied literature and developed an interest in the theater. 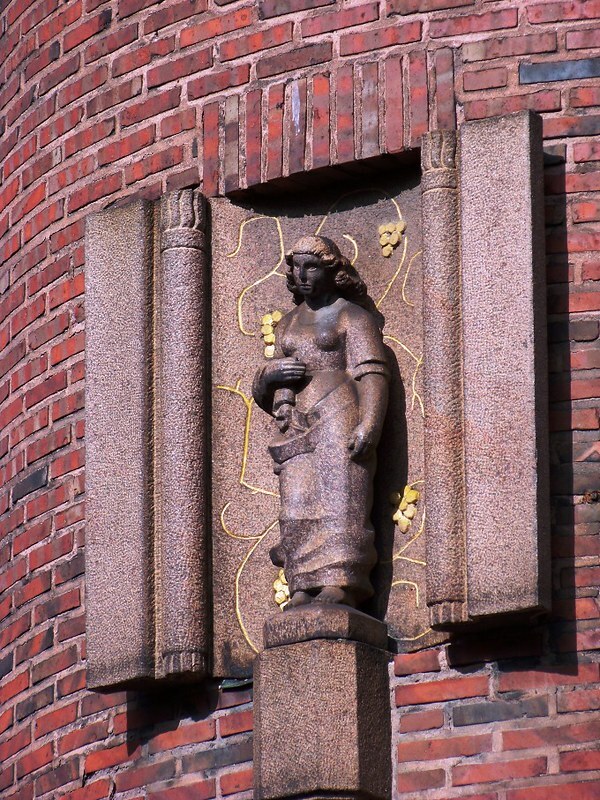 His first play was Kullervo, based on a tragic tale from the Kalevala. 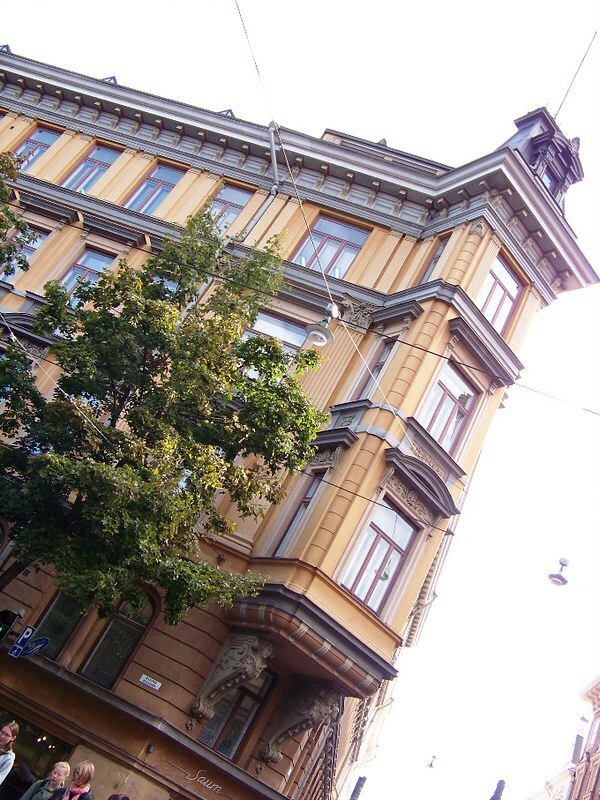 From 1863 onwards, Kivi devoted his time to writing. He wrote 12 plays and a collection of poetry. The novel Seven Brothers took him ten years to write. Literary critics, especially the prominent August Ahlqvist, disapproved of the book, at least nominally because of its “rudeness” – Romanticism was in its forte at the time – but maybe also because it was written in the southwestern dialect of Finnish, while Ahlqvist himself preferred the northeastern dialects of his homelands. The Fennomans also disapproved of its depiction of not-so-virtuous rural life that was far from their idealized point of view, and his excessive drinking may have alienated some. In 1865 Kivi won the State Prize for his still often performed comedy Nummisuutarit (translated as Heath Cobblers by Douglas Robinson). However, the less than enthusiastic reception of his books was taking its toll and he began drinking heavily. 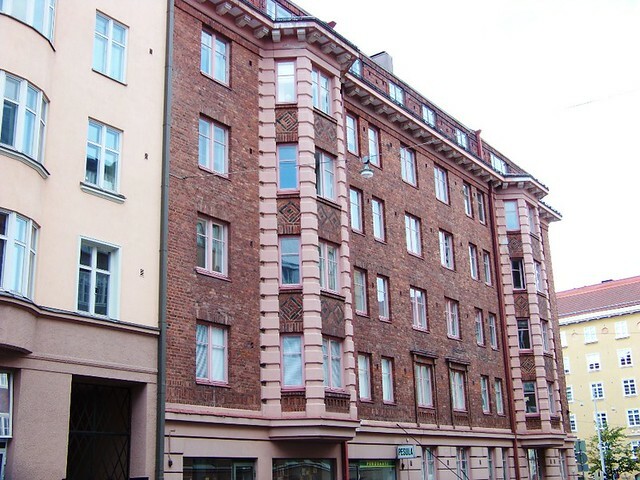 His main benefactor Charlotta Lönnqvist could not help him after the 1860s. Physical deterioration and the development of schizophrenia (possibly triggered by advances borreliosis) set in, and Kivi died in poverty at the age of 38. Just how cool is a city the center of which is a park with a big lake? Around the lake in the Kaisaniemi park one can spot very many Finns doing their jogging laps, outnumbered possibly only by those on bikes. 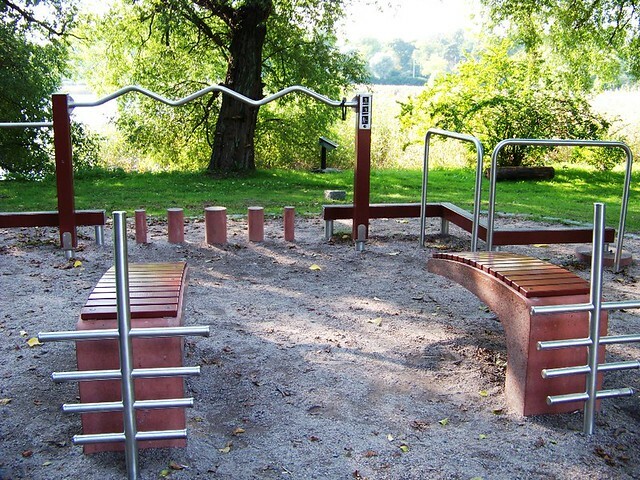 At specified points of the run one can find 4 different exercise stations like this one, fully equipped (and in pristine condition) for specific exercises. Each station also features a touch-screen TV where all possible exercises for that given station are shown by male and female models. You can also look up on the map where the next station is and what you can do there. Best part? They ARE being used! I spent about 5 minutes taking a rest from my insane city-run and in that short time one guy dropped in for some sit-ups! Wooot! 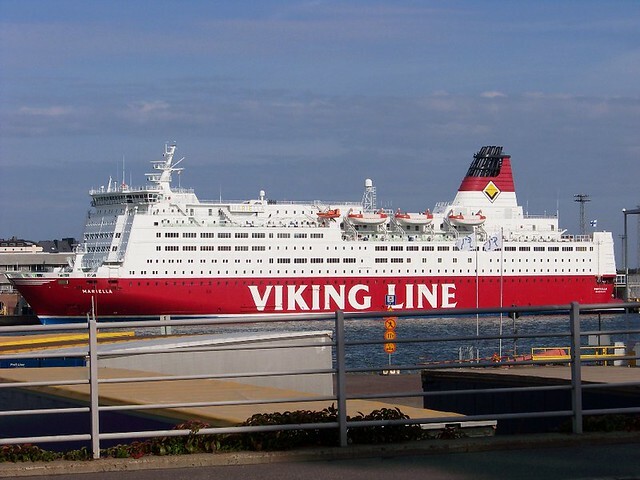 Seriously – only in Scandinavia! 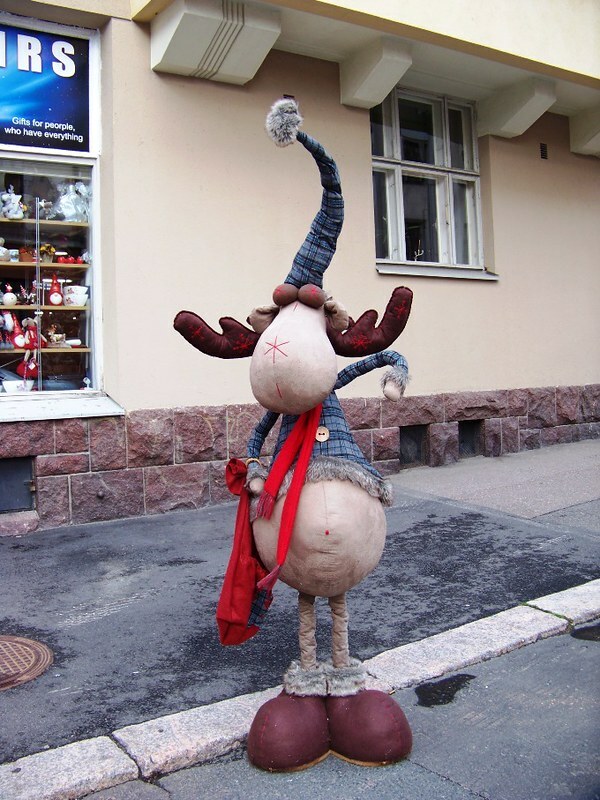 This entry was posted in Europe, Finland, Helsinki and tagged "Yule Goat", Aleksis Kivi, Alexey Gornostaev, Alexis Stenvall, Armas Lindgren, Bishop of Uppsala, C. L. Engel, Carl Ludvig Engel, Central Railway Station Square, Church of the Rock, Czar Alexander I, Dormition of the Theotokos, Успенский собор, Eliel Saarinen, Finland, Finlands nationalmuseum, Grand Duchy of Finland, great fire, Helsinki, Herman Gesellius, Hugo Neuman, Johan Albrecht Ehrenström, Johann Carl Ludwig Engel, Joulupukki, Kaisaniemi park, King Gustav I of Sweden, Matthias Alexander Castrén, Mauri Parjo, Paavo Berglund, Päijänne Water Tunnel, Puistokatu 2, Royal Academy, Santa Claus, St. Henry's Cathedral, St. Nicolas – The Wonder Maker, Suomen kansallismuseo, Suomen Kansallisteatteri, Taneli Kuusisto, Tempelplatsens kyrka, Temppeliaukio Church, Temppeliaukion kirkko, The Finnish National Theater, The National Museum of Finland, Timo Suomalainen, Tuomo Suomalainen, Uspenski Cathedral, Uspenskij-katedralen, Uspenskin katedraali. Bookmark the permalink. 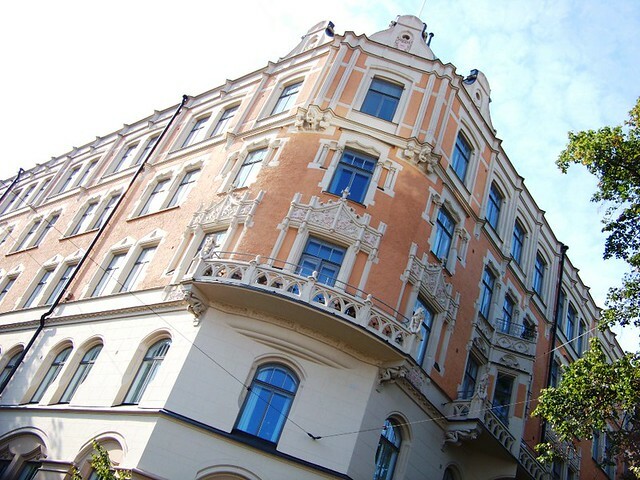 1 Response to Scandinavian Saga Part 4: Hello, Helsinki!